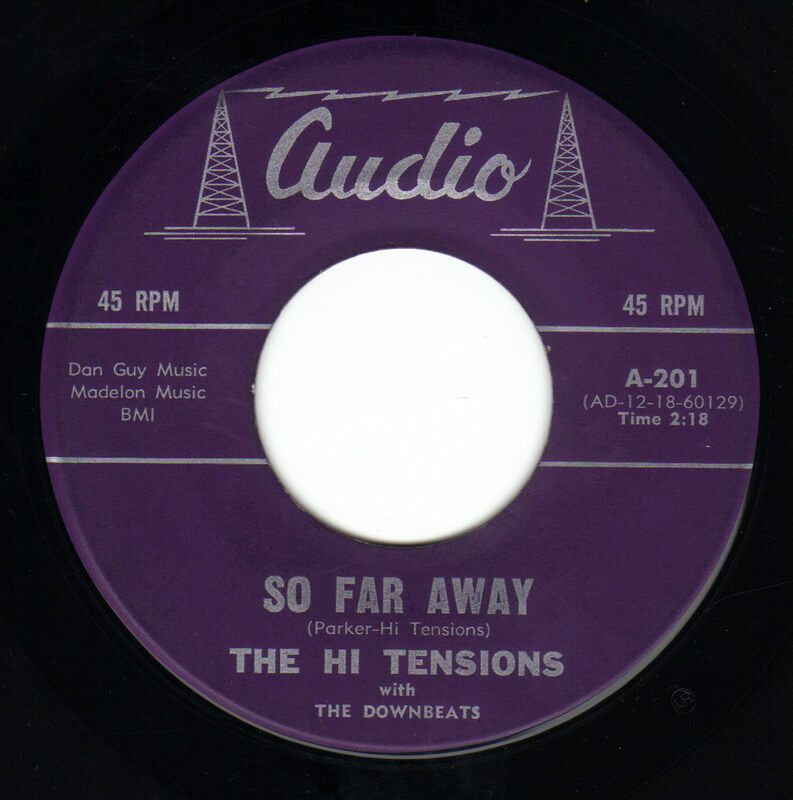 The Downbeats formed in 1957 while the members were still in high school. 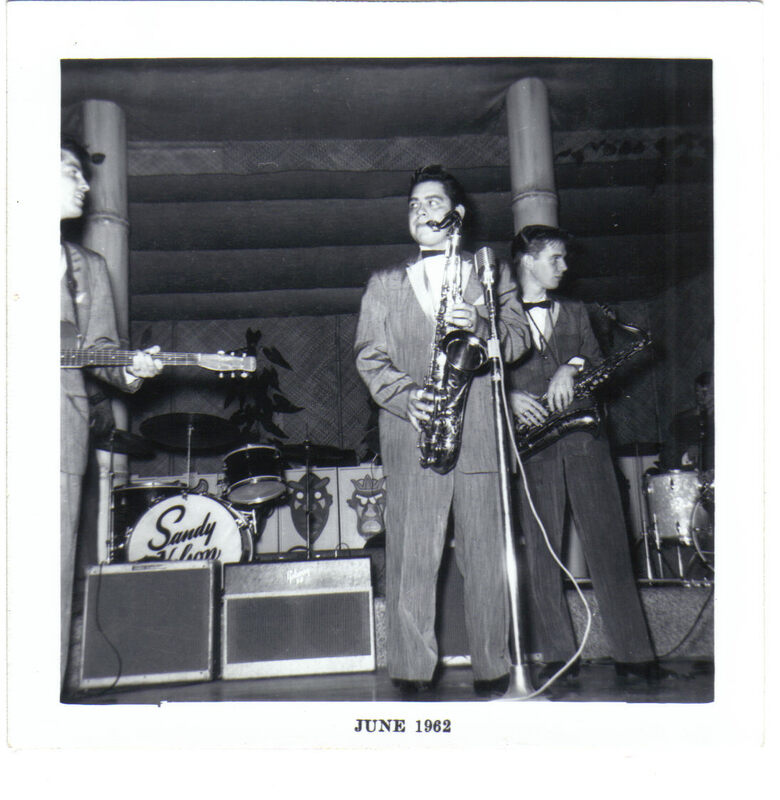 Johnny Amelio, and Joe Serrano played sax in the high school dance band, The Band-O-liers, where Bill Paradis and Delbert Contival played trumpet and Bill Lanning played drums. Inspired by the sounds of the still new rock and roll music of the day, they decided to form their own band. They recuited guitarist Grover York and Johnny beacame the lead singer. Bill Paradis played piano and was the leader of the band. 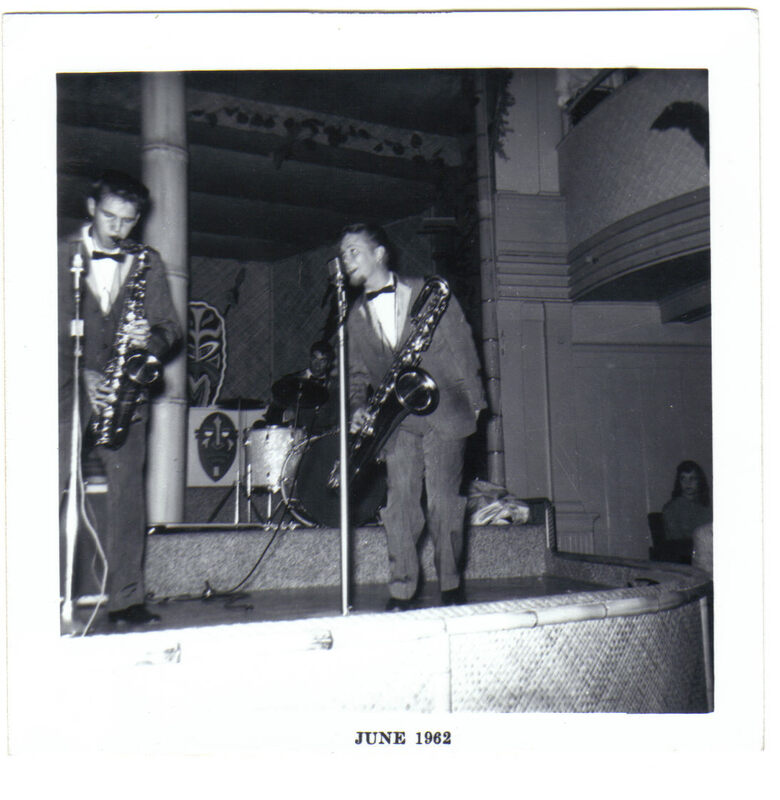 Delbert and Joe played sax. 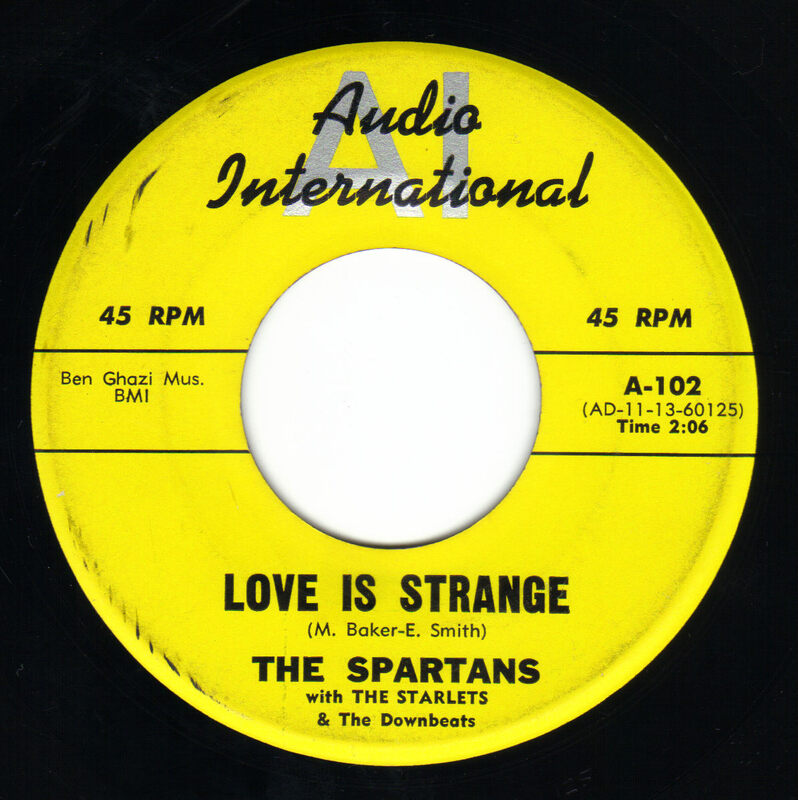 They were an instant local success with the help of Johnny's stage presence and the band's tight musicianship. 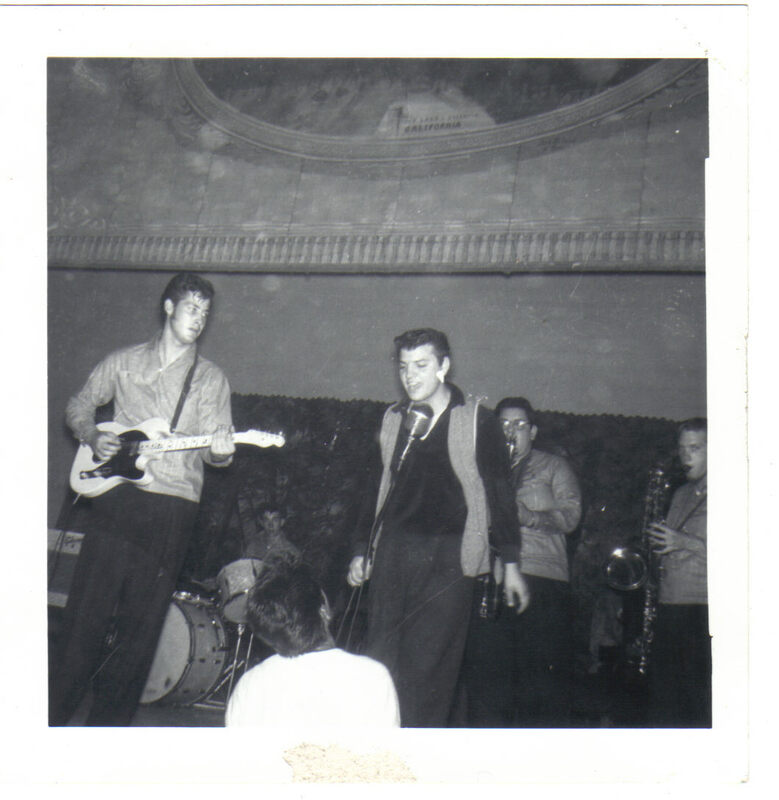 The band would do a half hour set without Johnny then bring him onstage to the cheers and screams of the local girls. 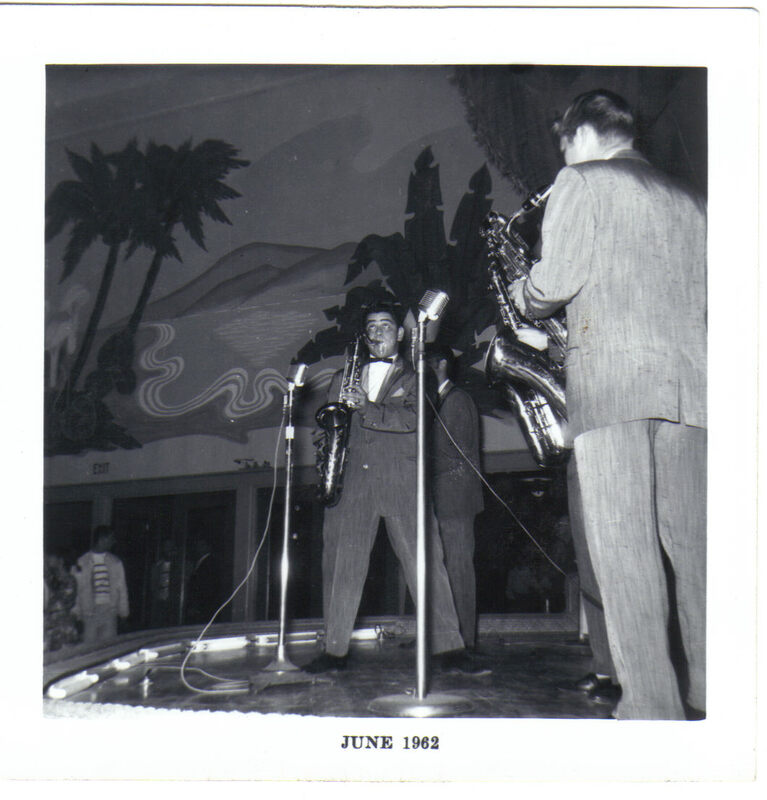 The group played at many local venues and traveled all around Monterey and Santa Cruz counties performing to large audiences. 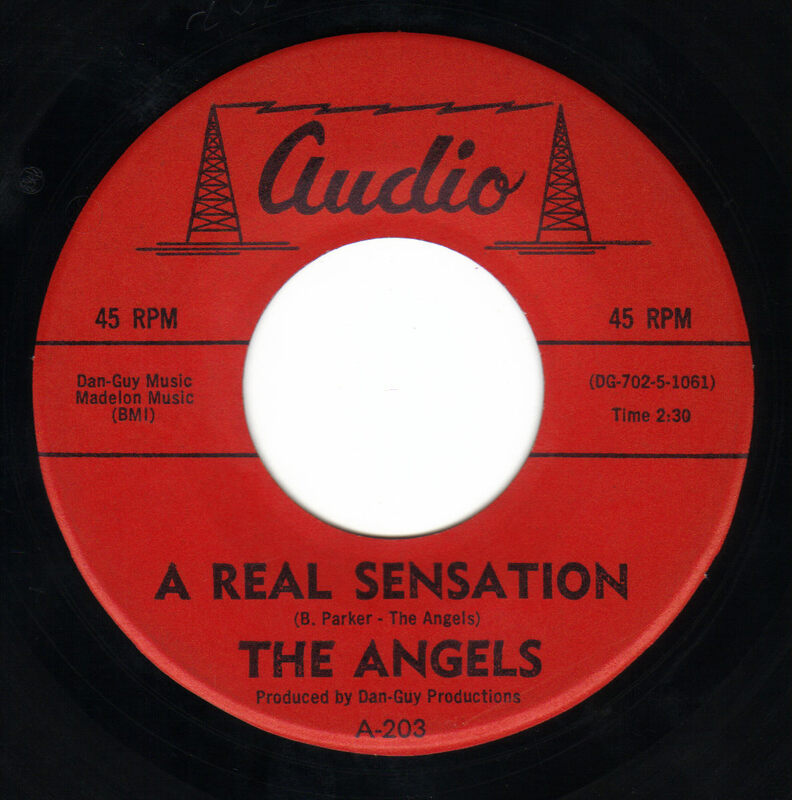 They recorded their first songs at Pat Patterson's studio in Santa Clara. 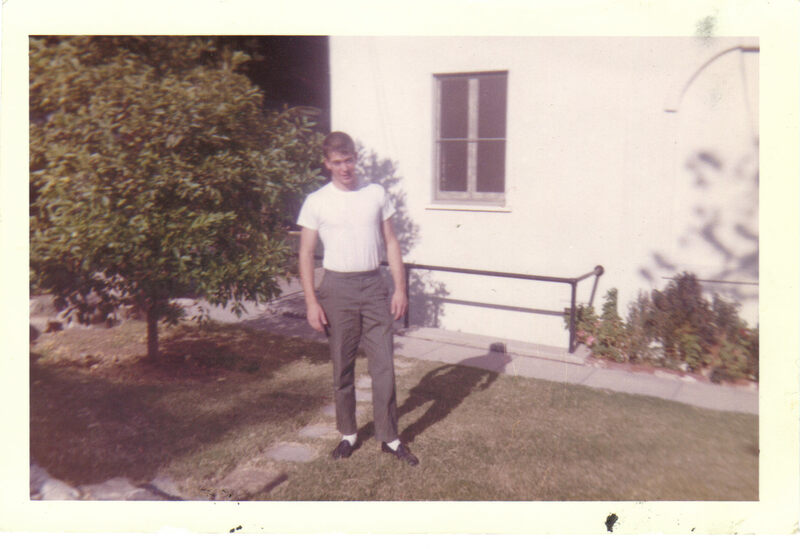 Johnny had met Patterson a couple of years earlier when he and a friend heard some music coming from the American Legion hall in Hollister. 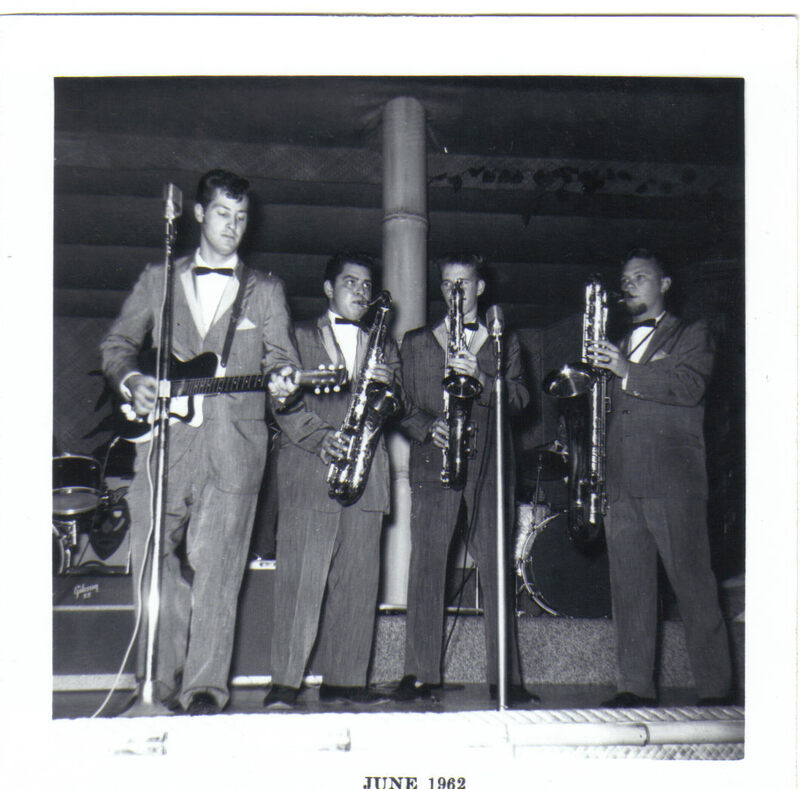 Patterson had booked one of his Country bands there and 16 year old Johnny told them he knew some Hank Williams songs and the band let him up to sing a few numbers. 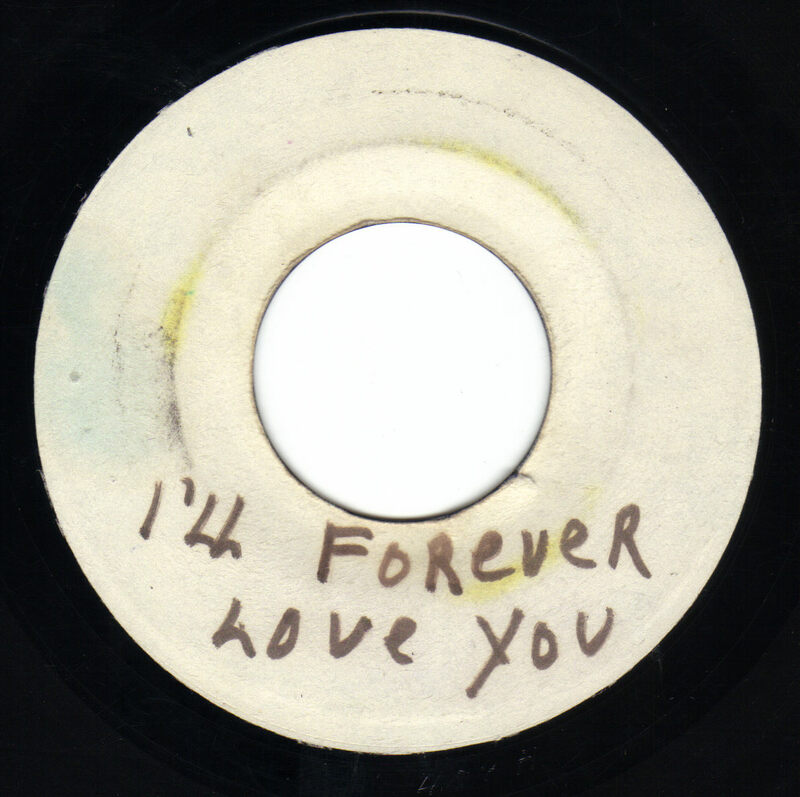 Patterson liked Johnny and his singing and offered to record him sometime. Johnny took him up on his offer when The Downbeats got together. Patterson's "studio" was set up in his garage at his house and lacked the quality sound of more professional studios. He often would use other studios to get a better sound for his records. 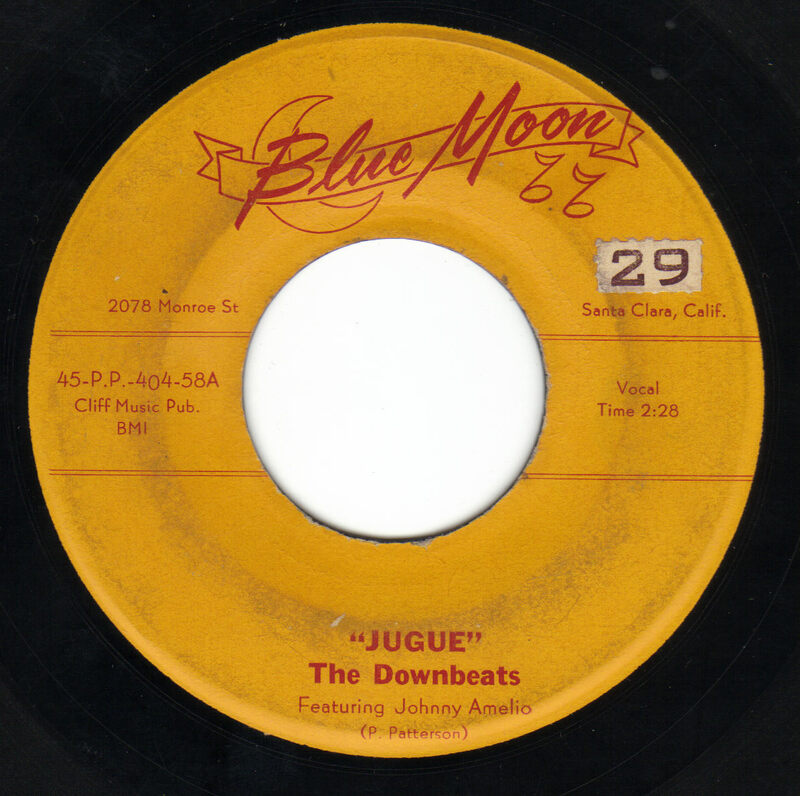 The first two songs recorded, "Grab Me" and "I'll Forever Love You", weren't released at the time but the band went back to the studio and cut "Jugue" and "Downbeats" which Patterson released on his Blue Moon label. 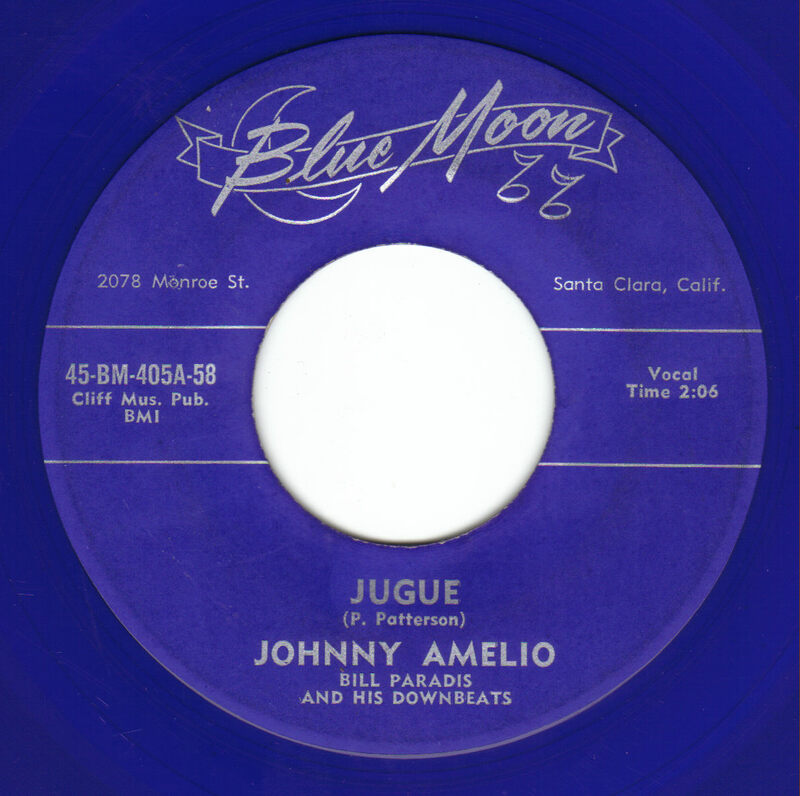 "Jugue" is a rockabilly monster with Johnny's snarling vocals and Grover York's mean guitar over a solid rocking rhythm section. 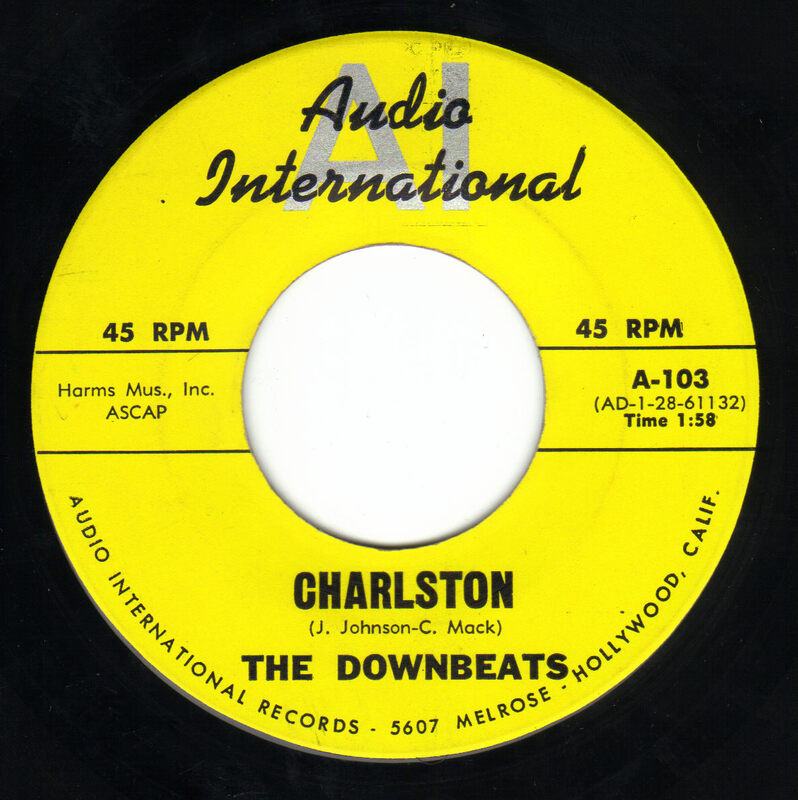 The Downbeats wrote the song but Patterson took the songwriting credit on the record. 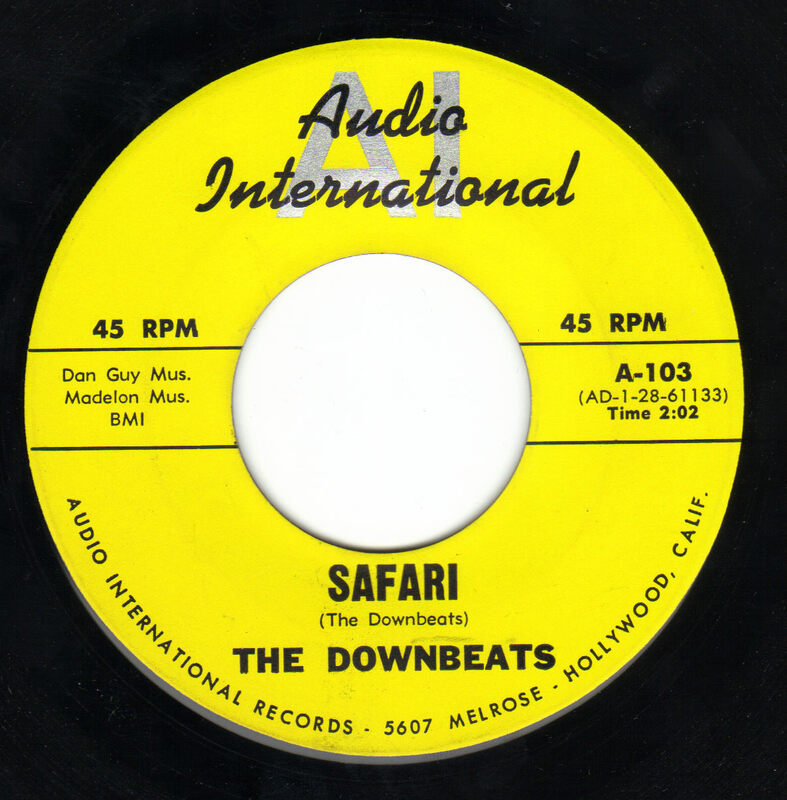 "Downbeats" features Johnny introducing the band members and promised the listeners they are going to hear some "real tuff sounds" from the Downbeats, and he wasn't kidding. 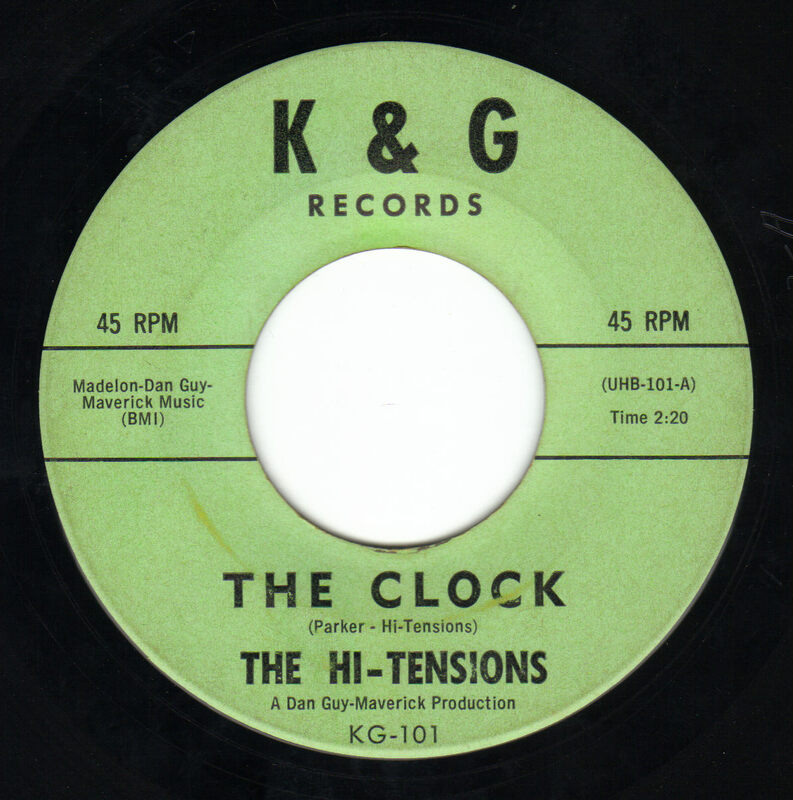 Even though Patterson wasn't a member, Johnny introduced him in the song as well. 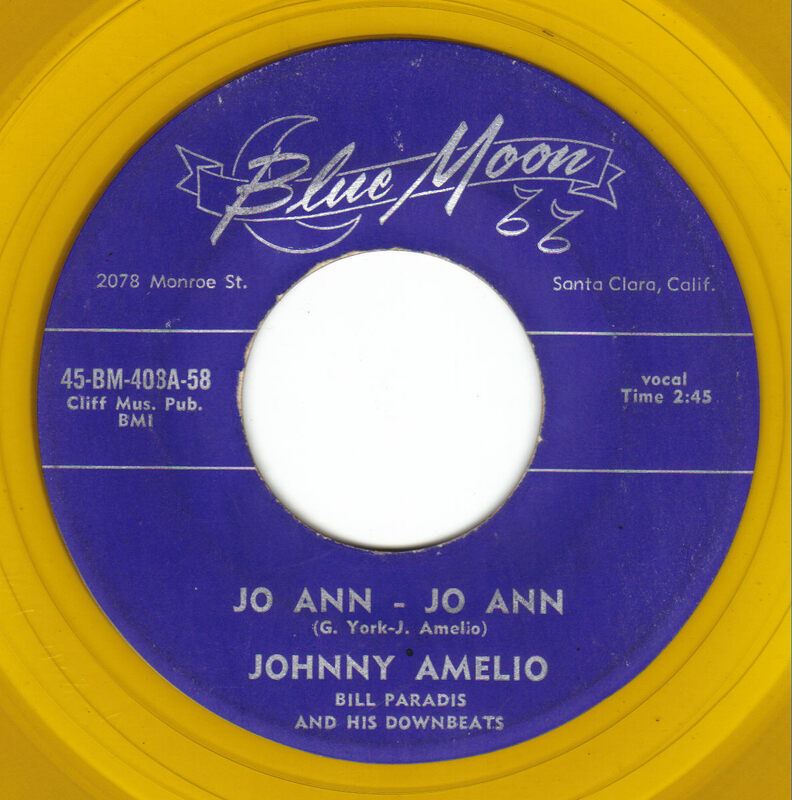 The next record also released on the Blue Moon label was "Jo Ann - Jo Ann", written for Johnny's girlfriend. 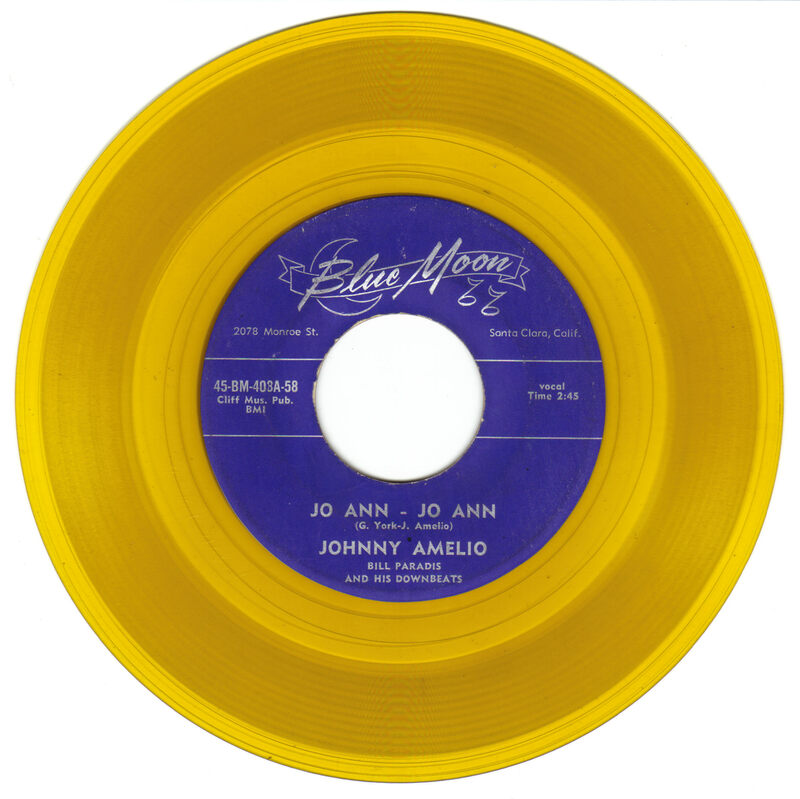 "Jo Ann - Jo Ann" is another rockabilly monster, again with growling vocals by Johnny and some killer guitar work from Grover. The band as always held down the solid groove. 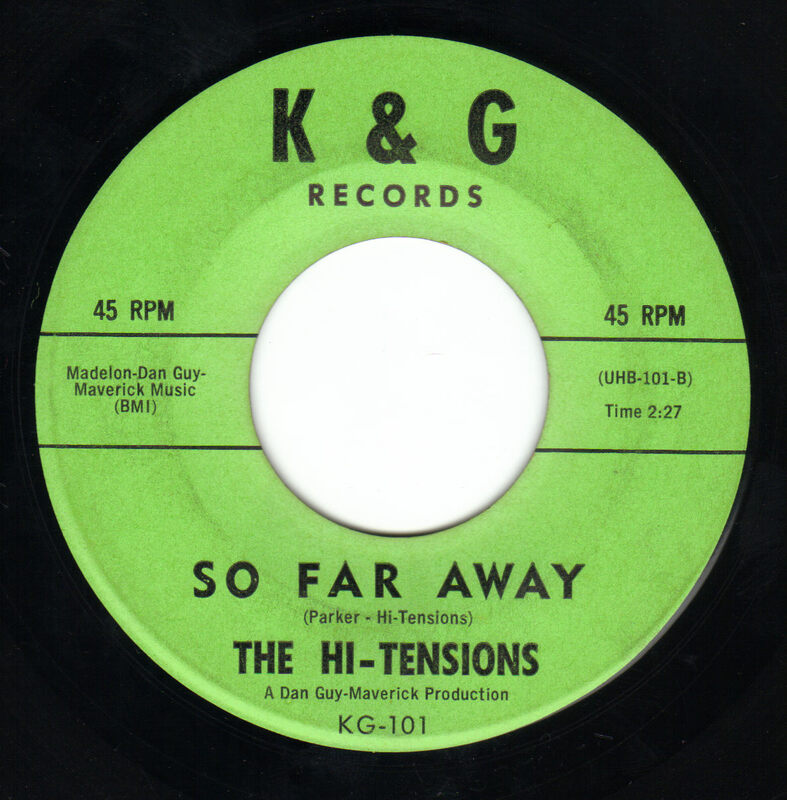 The flip side was a newly recorded version of the Tony Harris song "I'll Forever Love You". Johnny sang it like he was going to breakdown crying at any moment because he finally found his perfect girl. After a couple of years together Bill Paradis had to decide if he wanted to continue playing music or go to school. He was attending school at UC Berkeley and it was getting harder to play music and make it to class. He finally left the band to concentrate on school. 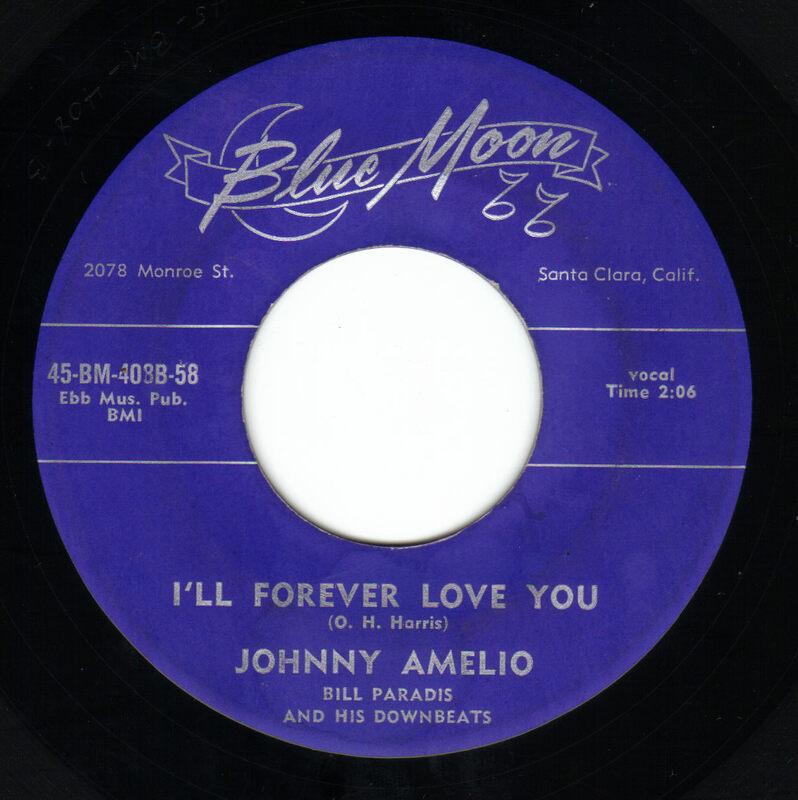 Soon after Johnny left The Downbeats when he got married to Jo Ann in 1959. 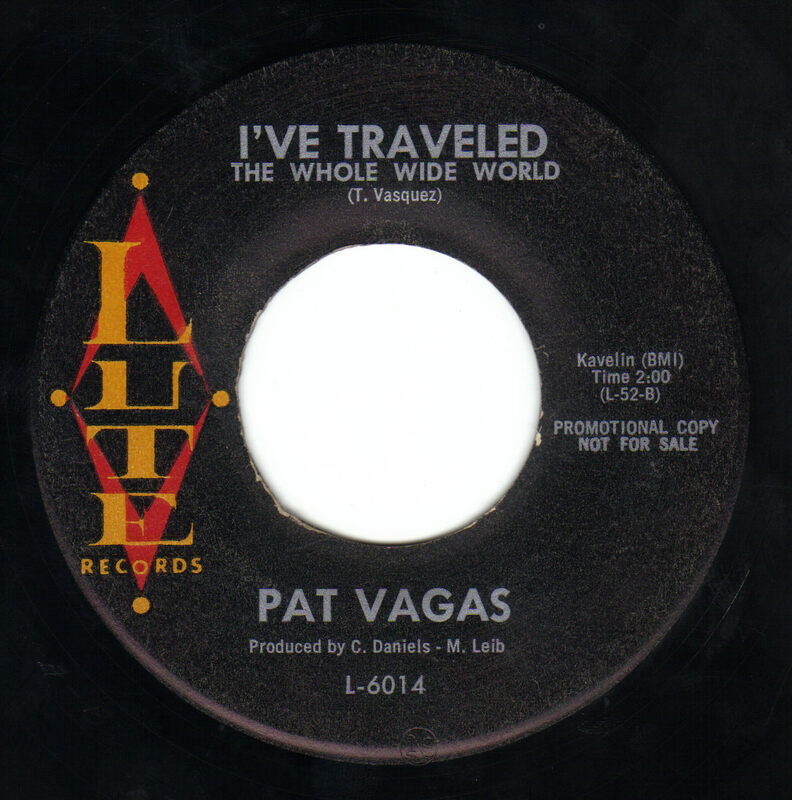 He continued singing with local bands The Deacons and in a band called The Hi-Tensions with Pat and Lolly Vegas (of Redbone fame)in Salinas, CA. He still sings today with his church group every Sunday in the small Church where he is Pastor. The band carried on with Grover handling the lead vocal duties for live shows. 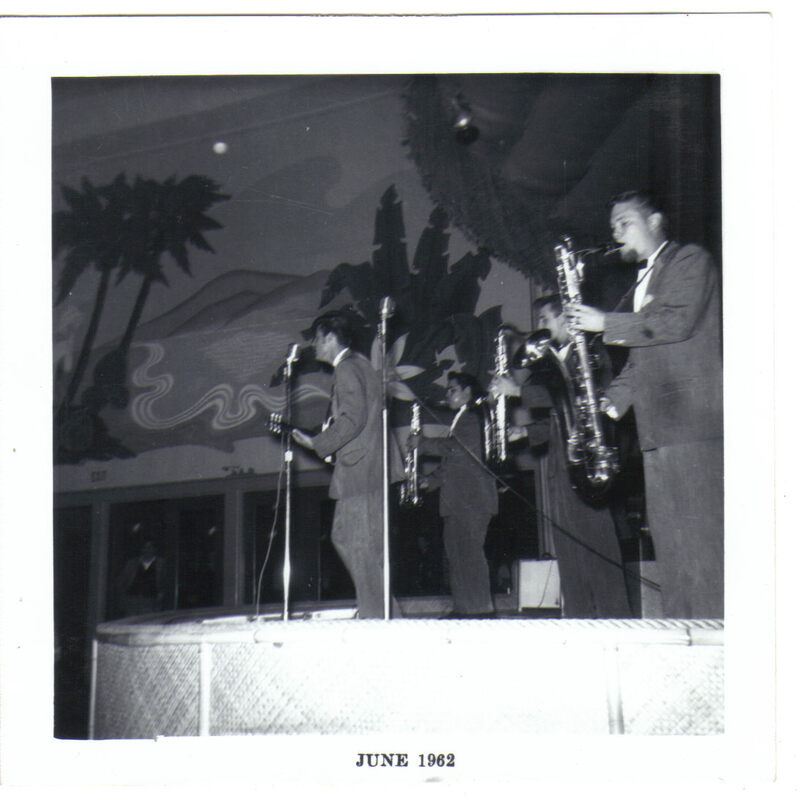 It was around this time that they played the Coconut Grove Ballroom at the Santa Cruz Beach Boardwalk with Sandy Nelson headlining. Bill Lanning got to perform a drum duel with Nelson and held his own against the famous drummer. 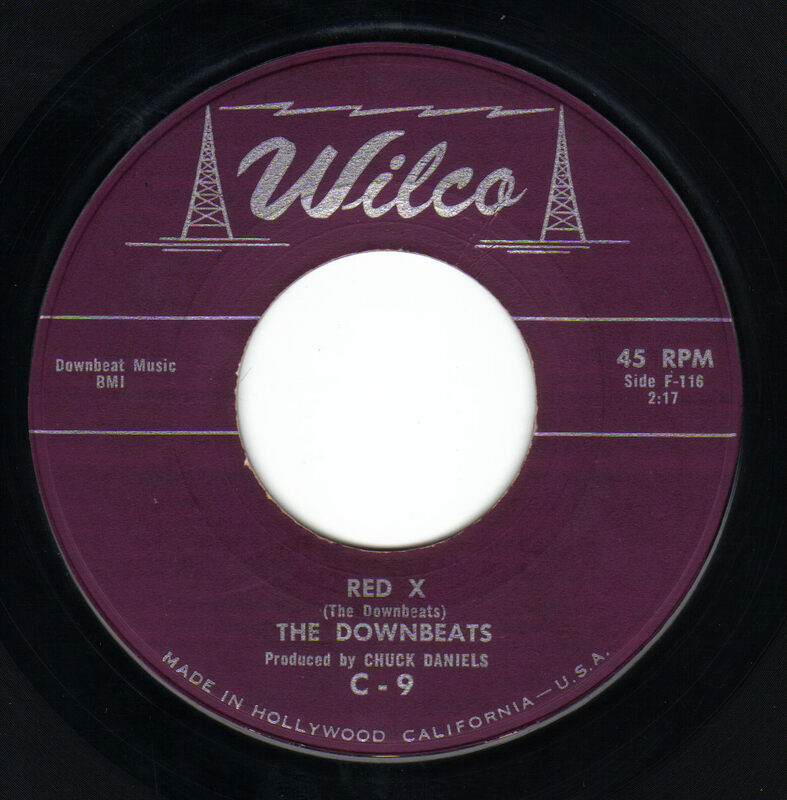 They had added sax player John Dixon to the line up and went into a studio in Monterey to record the instrumentals "Red X" and "Alfalfa". Soon after, Grover decided to get married and left the band. 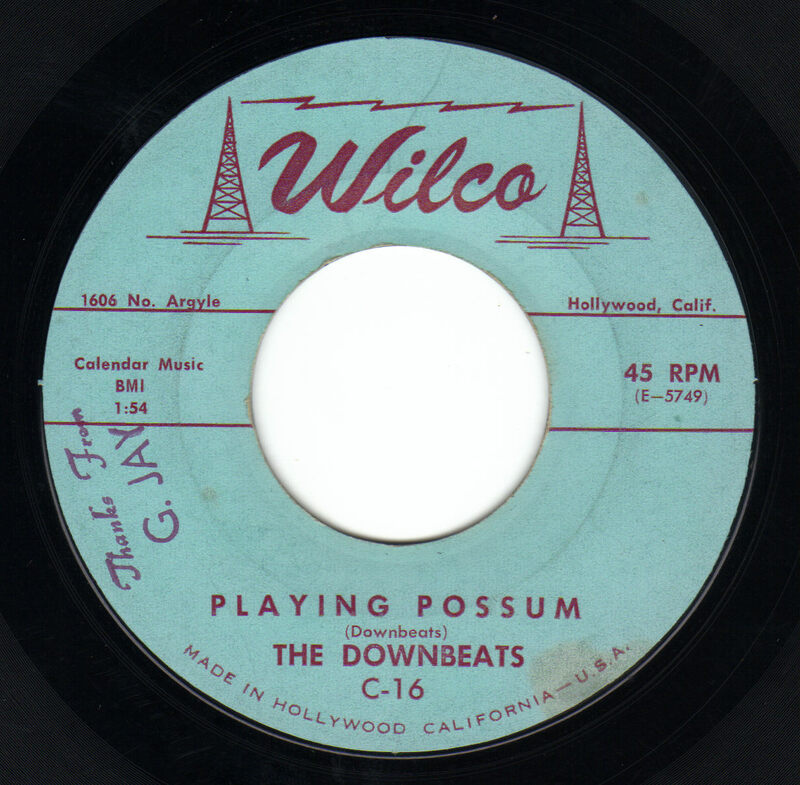 They recuited Pete Ruiz to play guitar and went back to the Monterey studio to cut "Playin' Possum" and "One At A Time". 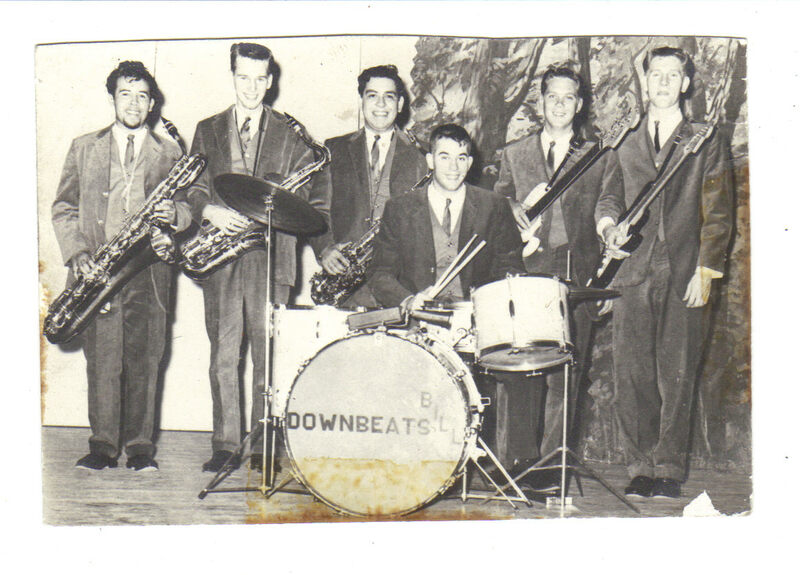 Watsonville musician and friend of the Downbeats, Chuck Daniels, had moved to Los Angeles to make it big. He had connections with Audio Arts recording studio owned by Madeline Baker and could go in anytime it wasn't being used, often in the early hours of the morning. He convinced the Downbeats to follow him there. They had added Russell Dahneke on guitar and Jess Rodriguez on sax and Delbert switched over to bass guitar. 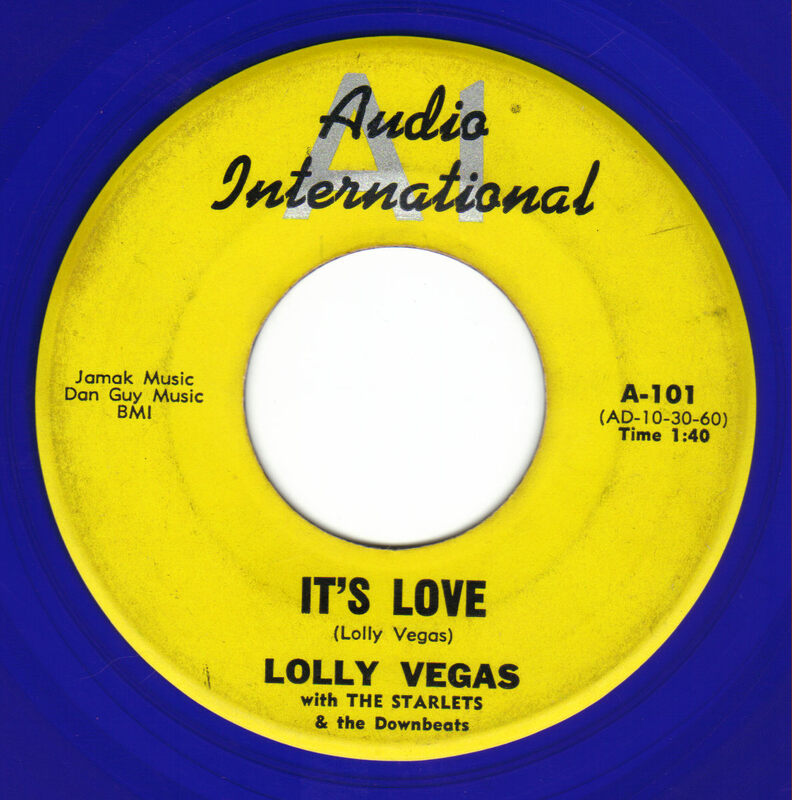 They lived together in a three story house on Grasiosa Drive and the place was crowded with fifteen people living there including Chuck Daniels, The Downbeats, Pat and Lolly Vegas, San Jose musician Pat La Rocca and various girl friends. Each month the band would travel back up to the Monterey Bay area and play some gigs to make enough money to pay the rent in L.A. After about six months they were all kicked out because the neighbors complained about the loud parties and music. They found a motel that let them stay for free as long as they would keep the owner stocked with booze. This went on for a while until the owner's wife found out they were suppling her husband with liquor. Sometimes the guys had to sleep on the floor in the recording studio when they didn't have anywhere else to go. Pete Ruiz went back home so Russell Dahneke handled the lead guitar duties from then on. 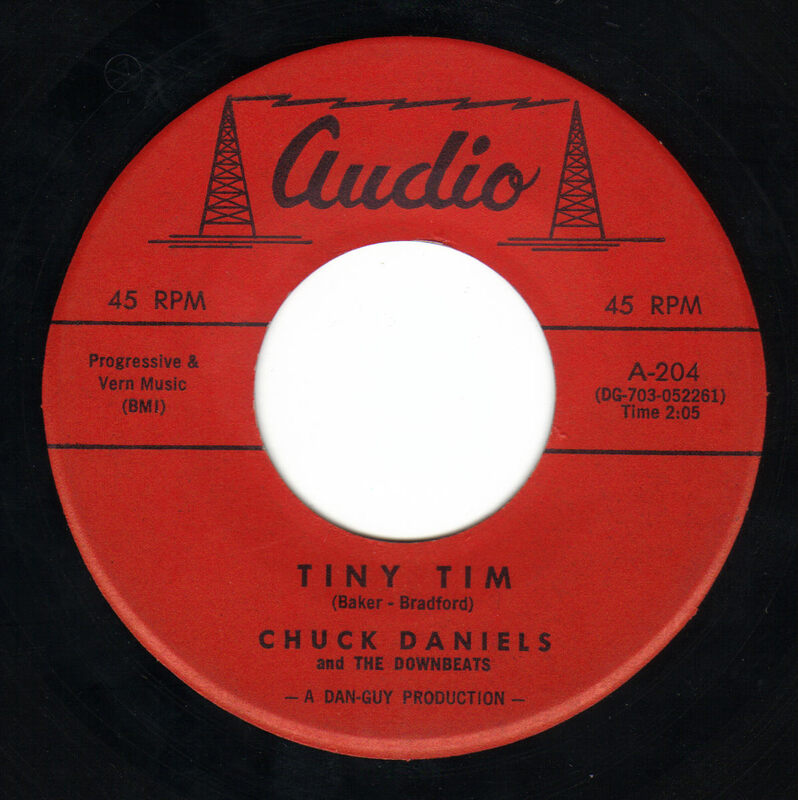 Chuck Daniels used the Downbeats for many of his sessions including his great version of Lavern Baker's "Tiny Tim". 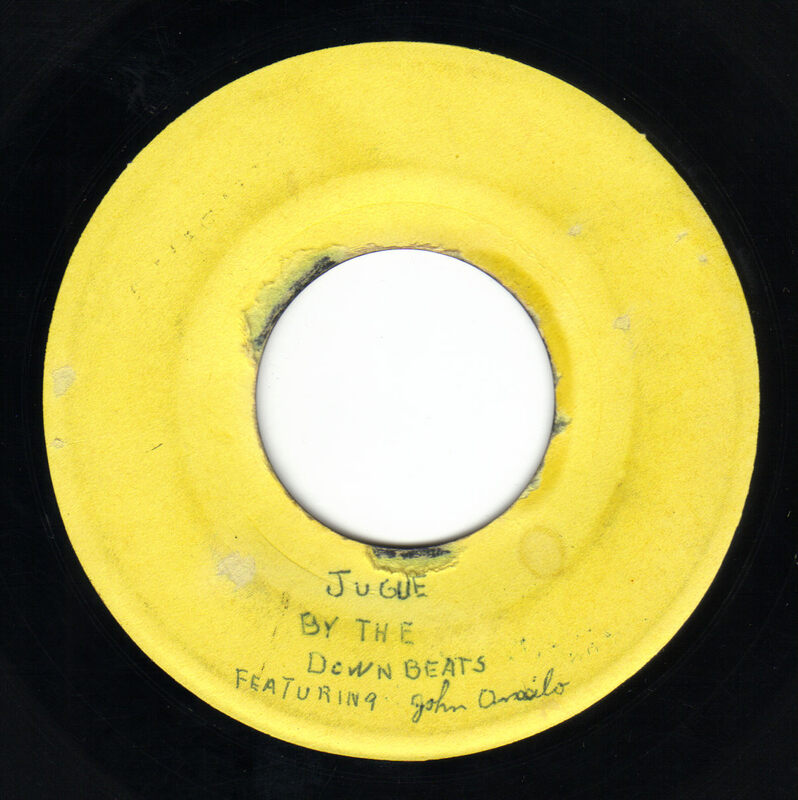 The flip side was an instrumental called "Saturday Night On The Moon" which was co-written by Pat and Lolly and the Downbeats. 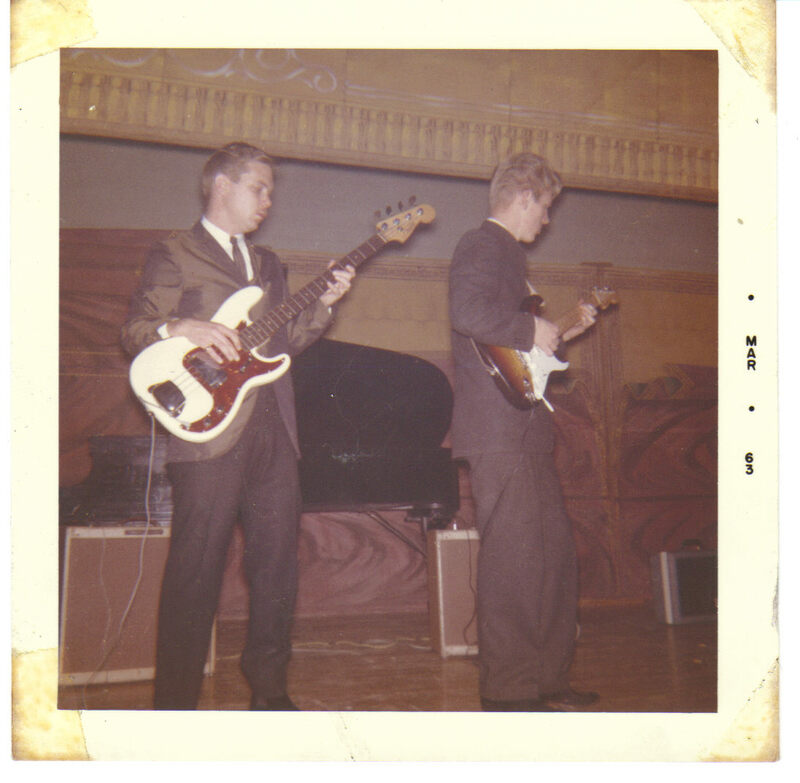 Lolly played lead guitar and Pat played bass with The Downbeats backing them up. 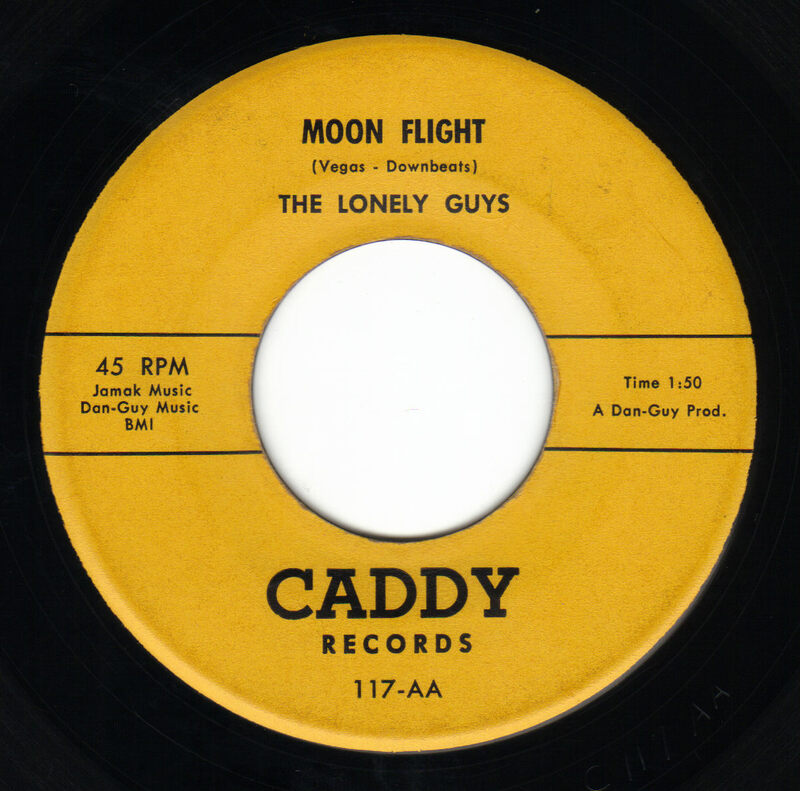 Chuck also used this song on the flip side of "The Way You Look Tonight" by The Lonely Guys calling it "Moon Flight". The Lonely Guys were a four piece white vocal group from L.A. that Chuck used to good effect on "The Way You Look Tonight". 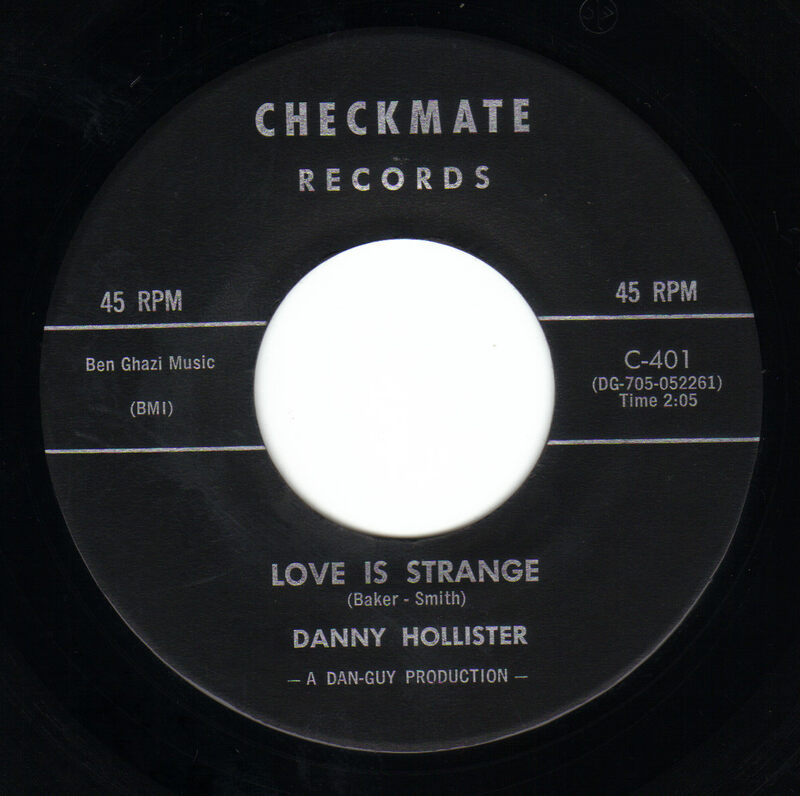 Chuck had enlisted the talents of a black, five piece vocal group and recorded some songs with them. 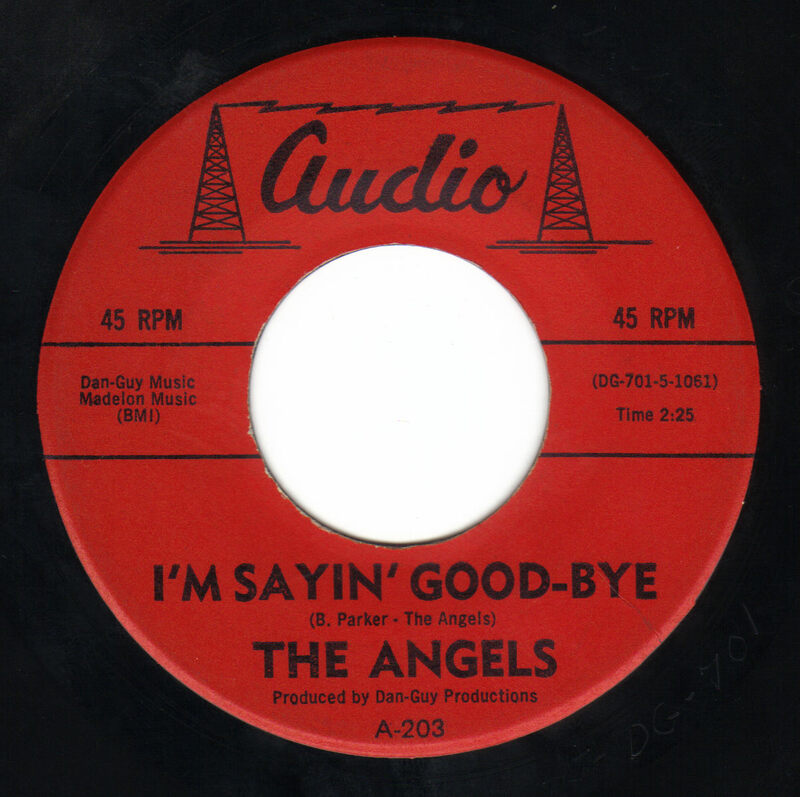 He released "The Clock" b/w "So Far Away" under the band name The Hi-Tensions and "A Real Sensation" b/w "I'm Sayin Good-Bye" by The Angels. 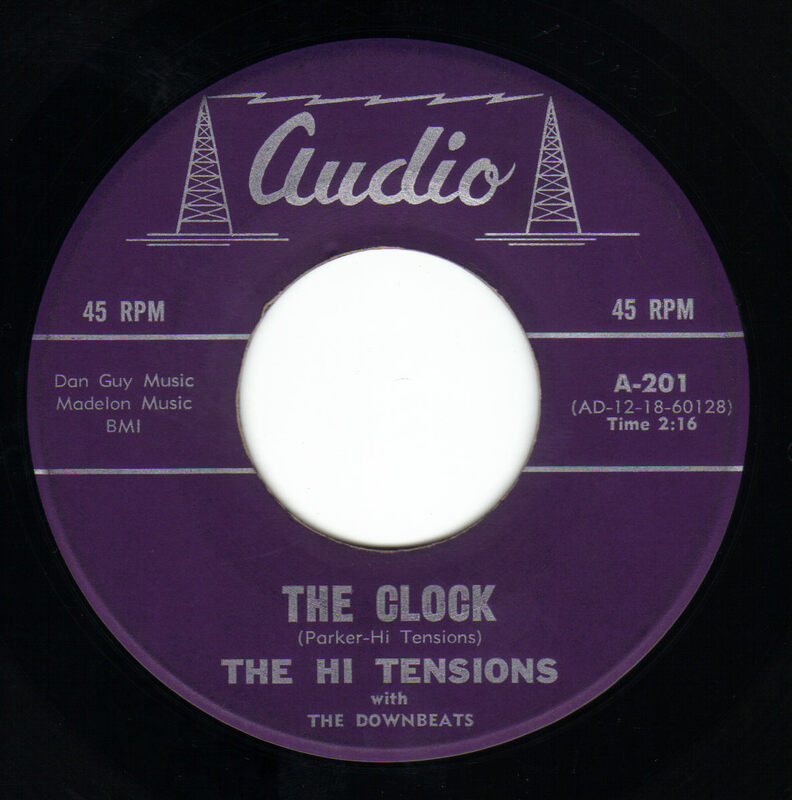 All backed with tight instrumentation by the Downbeats. 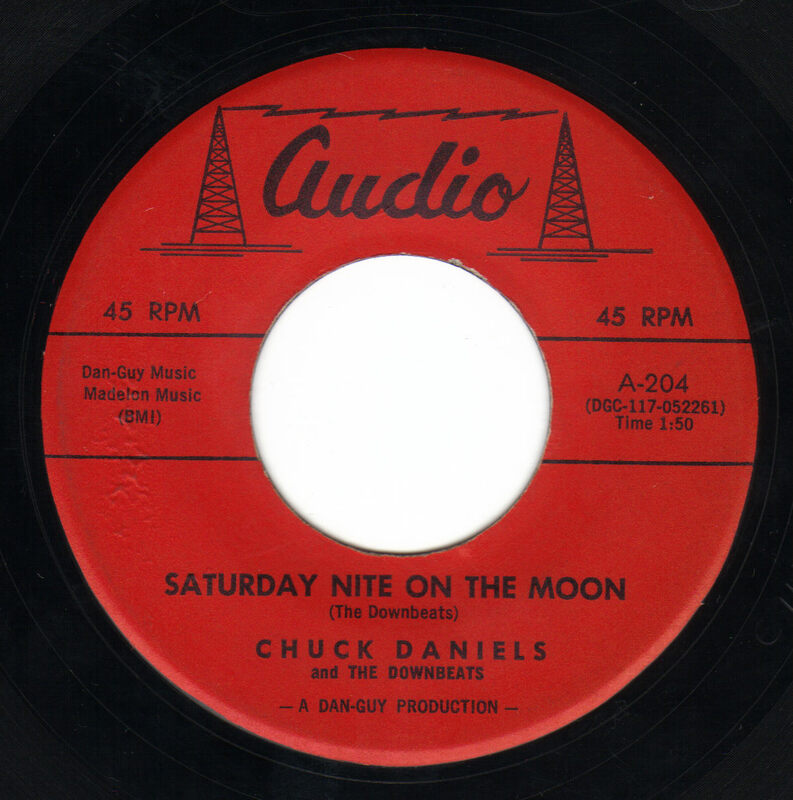 Chuck Daniels kept trying to hit it big and would record under different names such as Danny Hollister, Robbie and the Downbeats and The Spartans. 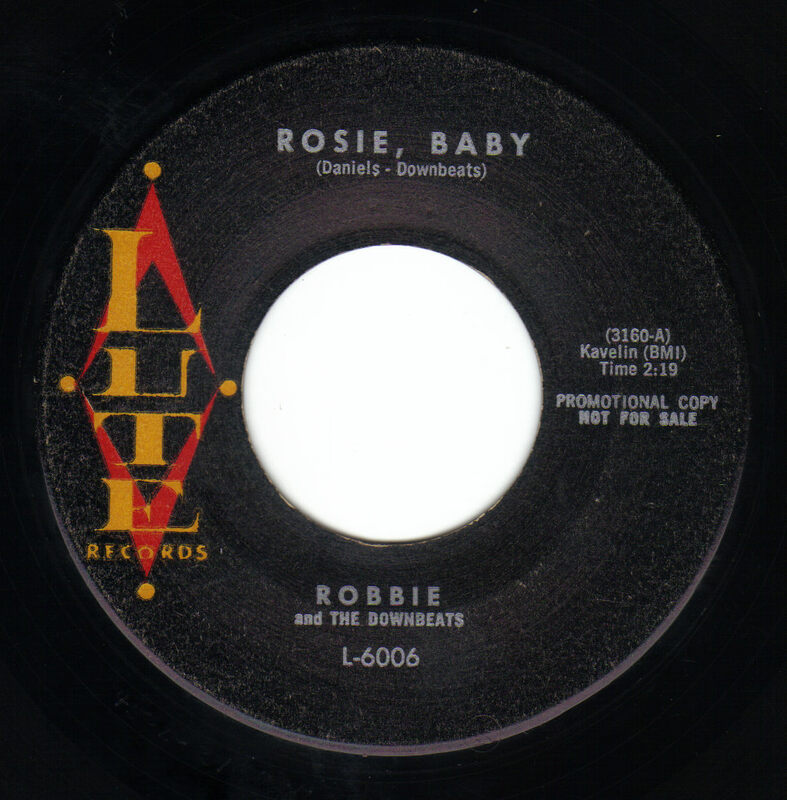 "Rosie Baby" was an answer song to Rosie And The Originals hit "Angle Baby" Sometimes Pat and Lolly would sit in on the sessions and the Downbeats backed them on some of their records. 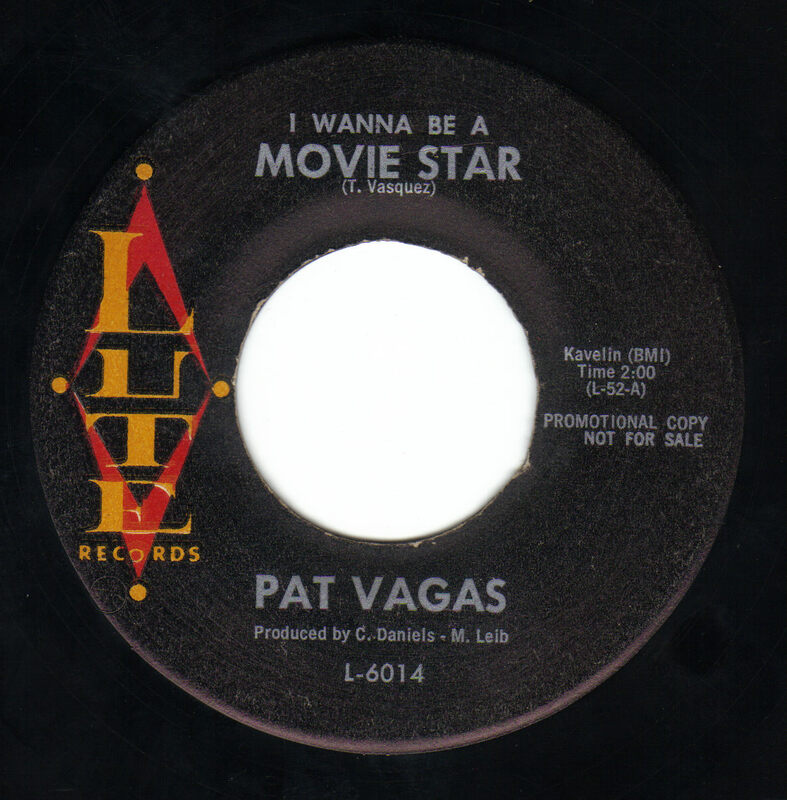 Bill Lanning remembers sitting in the basement of the house on Gransiosa Drive while Pat was writing "I Wanna Be A Movie Star". 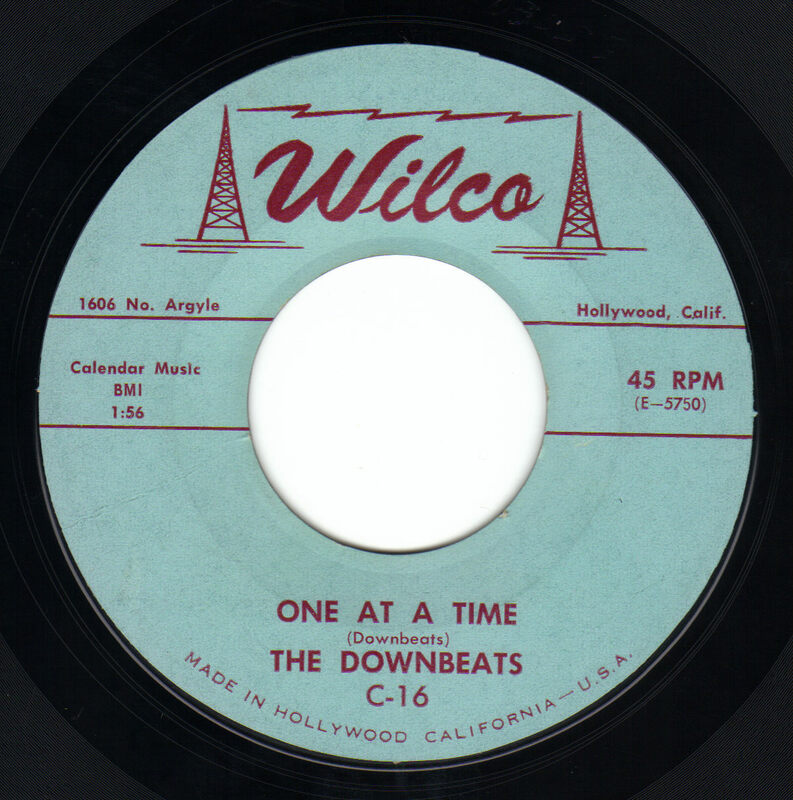 After about a year and a half in Southern California The Downbeats decided to call it a day but not before one more big concert back home. Joe Serrano booked the Legion Hall in Hollister and got Jerry Wallace and Kathy Young to perform. 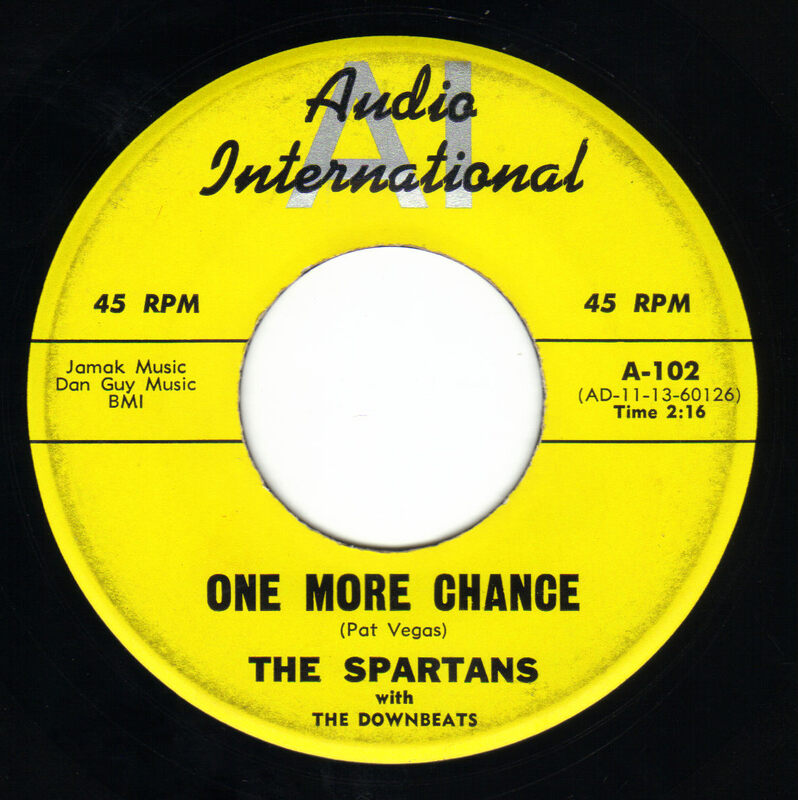 The Downbeats played their last bittersweet show after many years together. 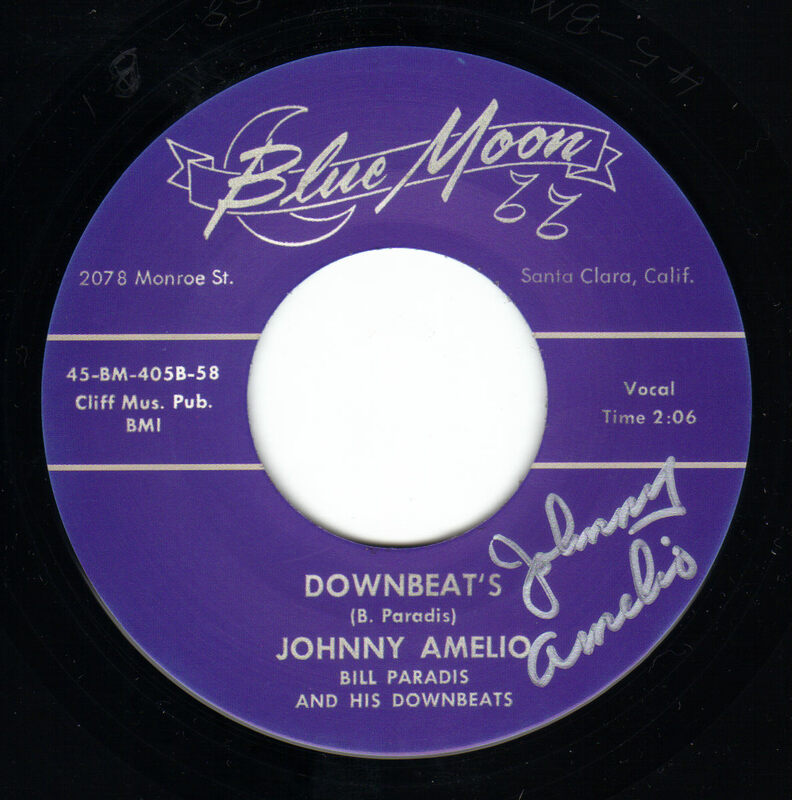 Even Johnny Amelio sang a few songs with the band for old times sake. 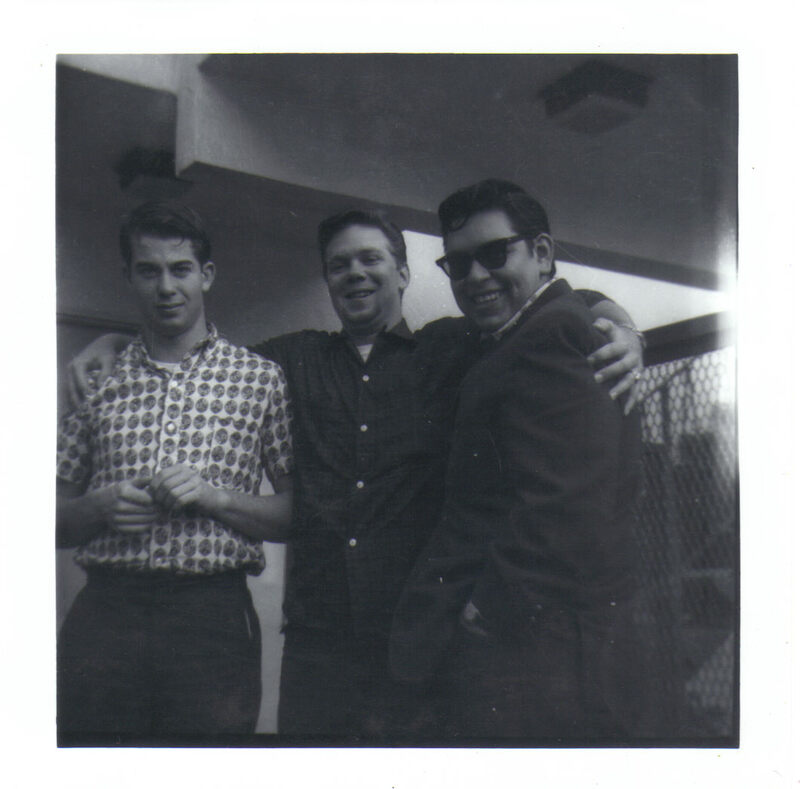 Russell, Delbert and Joe stayed in Los Angeles. 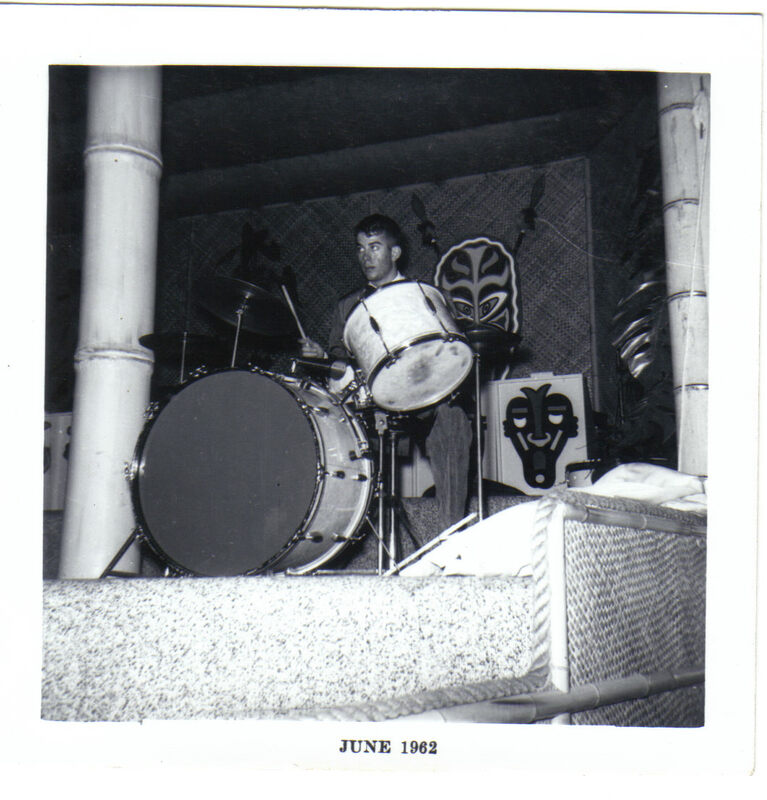 Bill Lanning joined the military and later played for many years with various local groups always providing solid drumming for whatever group he performed with. Jess eventually became a teacher but continued to play sax in various different bands. Unfortunatly Joe Serrano, John Dixon and Russell Dahneke have passed away. 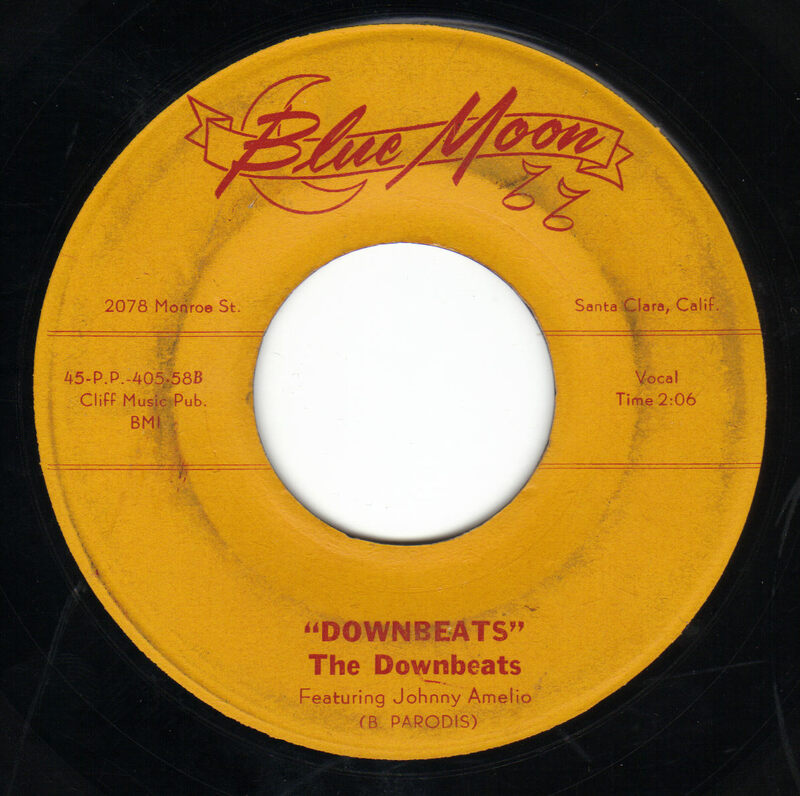 The Downbeats had become a very tight and accomplished unit and left their mark on a treasure trove of great American music. Delbert Contival shared some of his memories with me below. 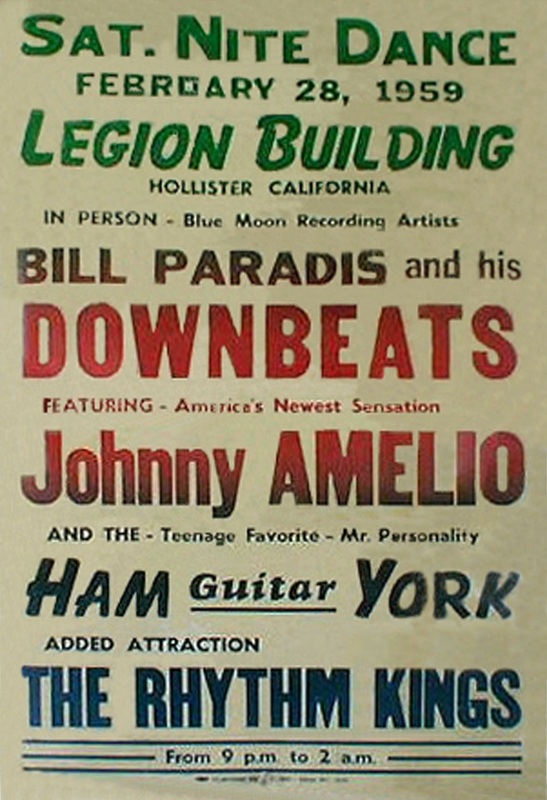 Seems to me that we backed up or played the same venue with Brenda Lee in a club in what was, at the time, called Niles (Hayward), CA along with Ramblin' Jack Elliot. We would promote our own events, usually at the Veterans Memorial Building, hiring a rising performer thru a booking agency, which I believe was MCA, in Hollywood, and printing and distributing posters. 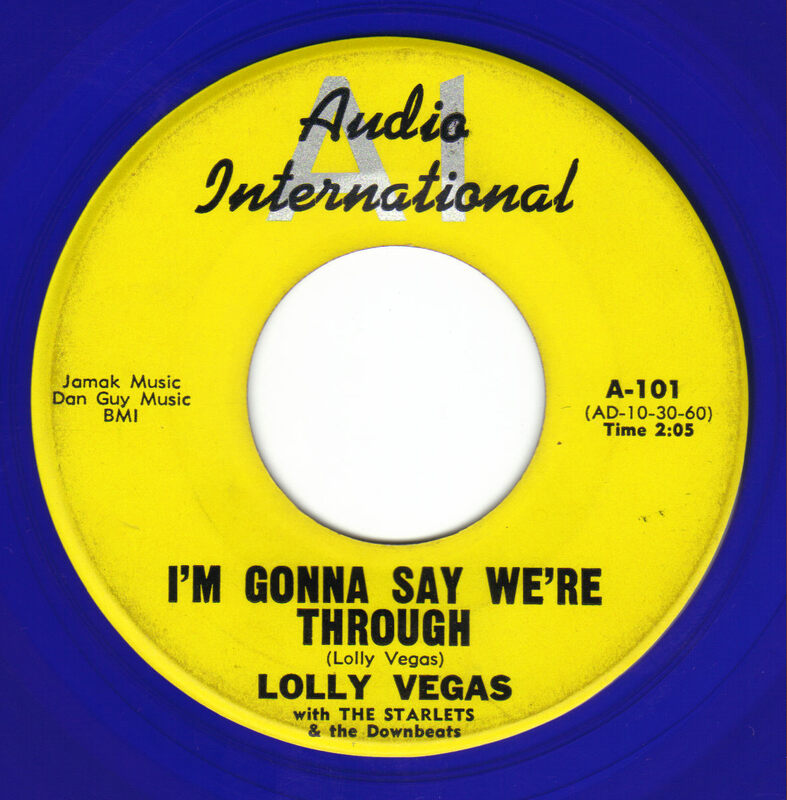 Amongst those artists were, Lesley Gore "It's My Party" at the Veterans Memorial, Ron Holden "Love You So" in 1960 at the Veterans Memorial, Jan and Dean, managed by Lou Adler, at the VM, Scott Engle at the VM, Lord Luther, Benn Joe Zeppa as well as performing on Frank Darian's "Record Hop" TV show in San Jose. We did one recording session at the Channel 8 TV station in Salinas, owned, or managed at the time by Foy Willing of Riders of the Purple Sage fame. 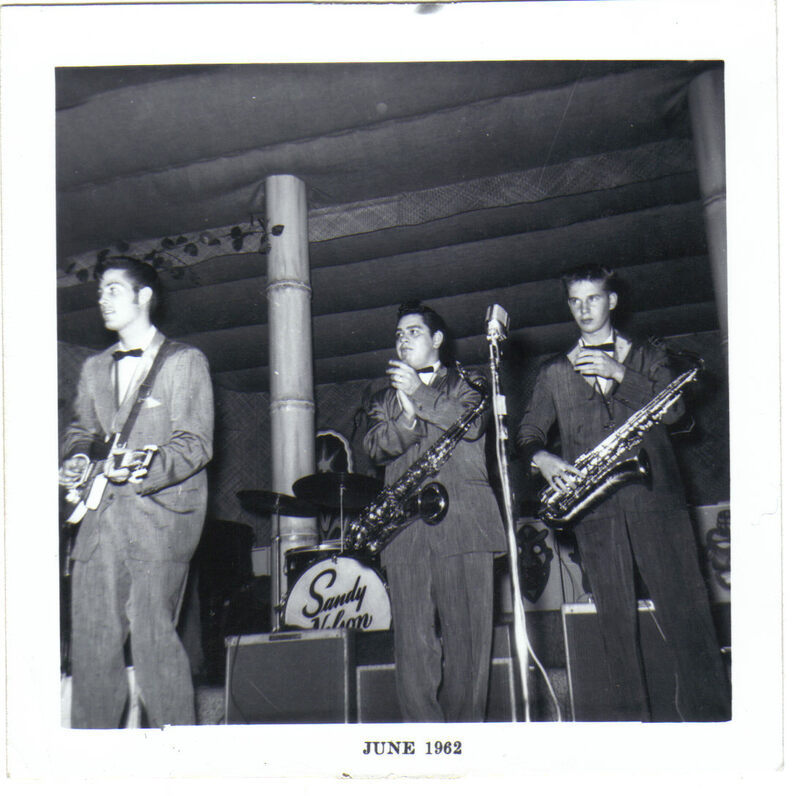 At the Coconut Grove Ballroom, in addition to Sandy Nelson, we played there with Connie Francis and Jimmy Clanton. We did several interviews at radio station KOMY in Freedom (Watsonville) with DJ Clyde Hatton promoting our records. 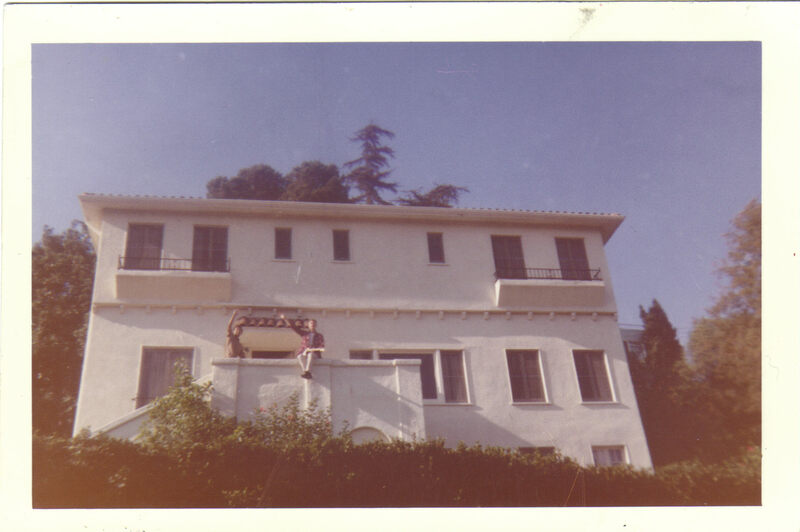 When we went to Hollywood we learned our old female landlord had sung with Caruso. 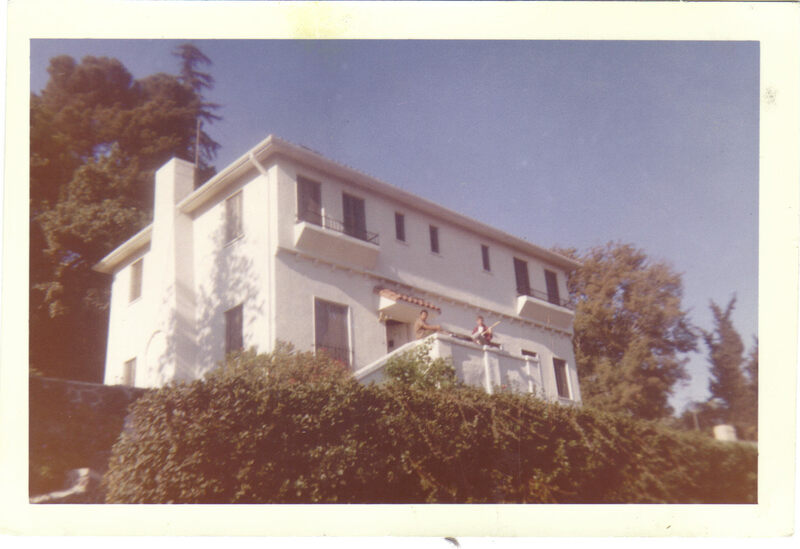 Before we moved into the house the previous tenants used to throw huge parties and charge admission. After we moved in all of a sudden people were showing up to party so we continued having them. At one of the parties a lot of the bands instruments were stolen. 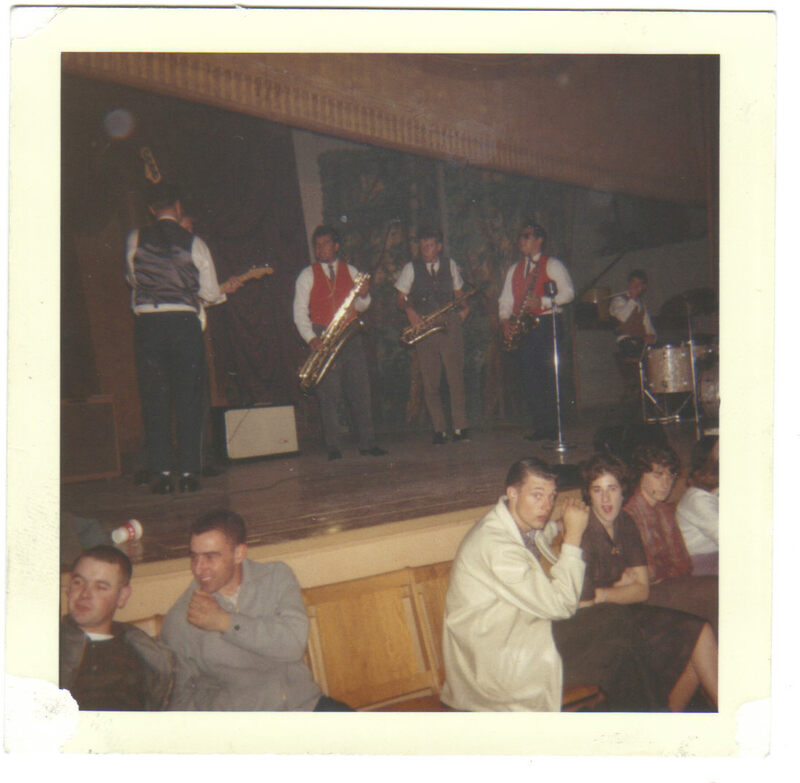 We were always broke and looking for ways to earn money so Lolly, John Dixon, Bill Lanning and I played in a nightclub in Lompoc, CA. for several months. Joe Serrano's half-brother Tony Contreras, who lived in Lompoc, set us up with the gig. 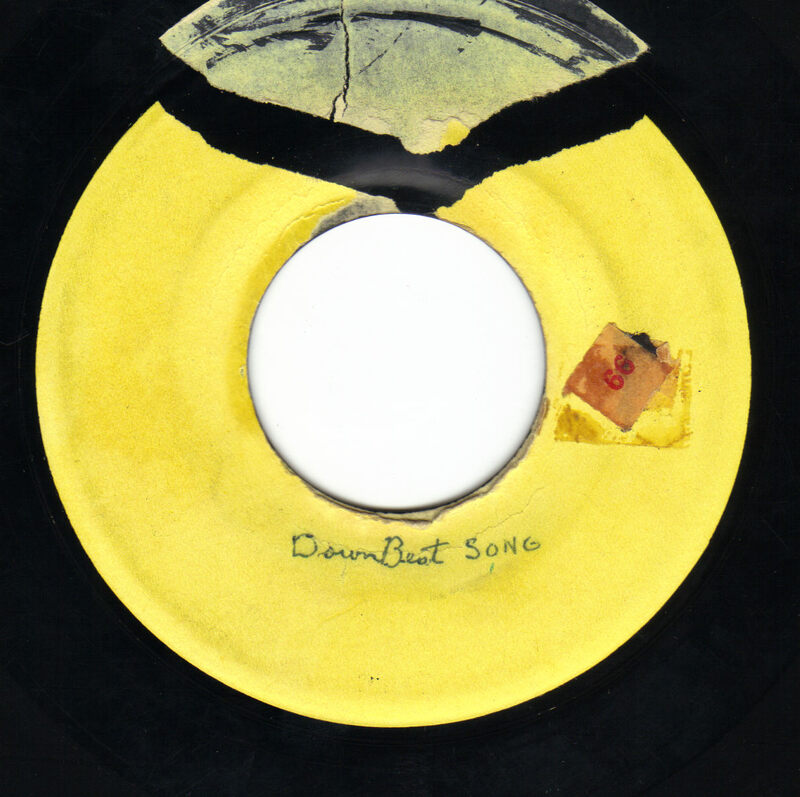 Dobie Gray was a frequent visitor to the mansion in the Hollywood Hills for practice sessions with the band. 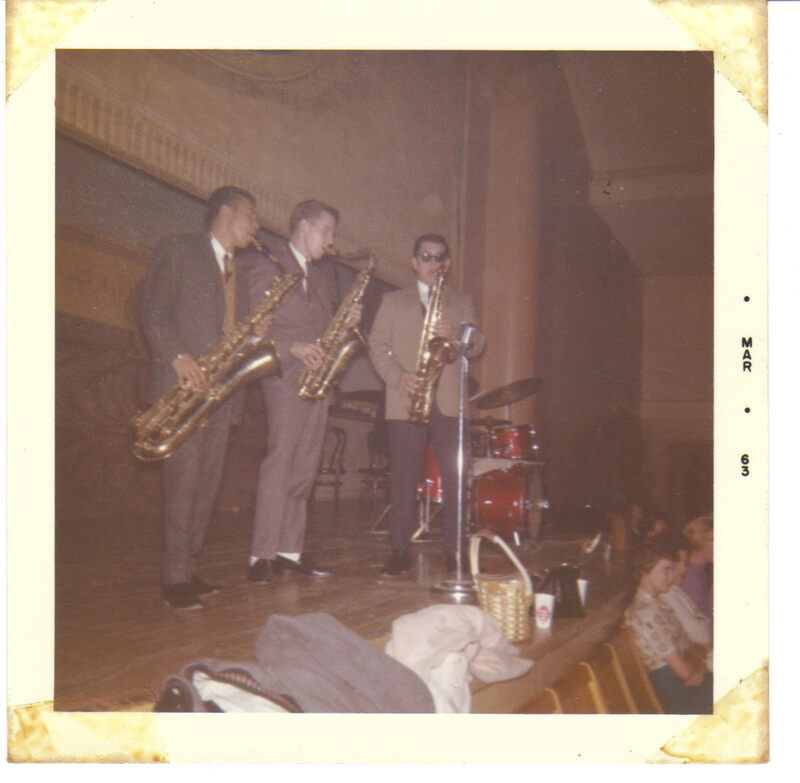 I remember Chuck hiring Glen Campbell and, Plas Johnson on tenor sax for a session at Madeline Baker's recording studio. We also recorded with piano player H.B.Barnum. 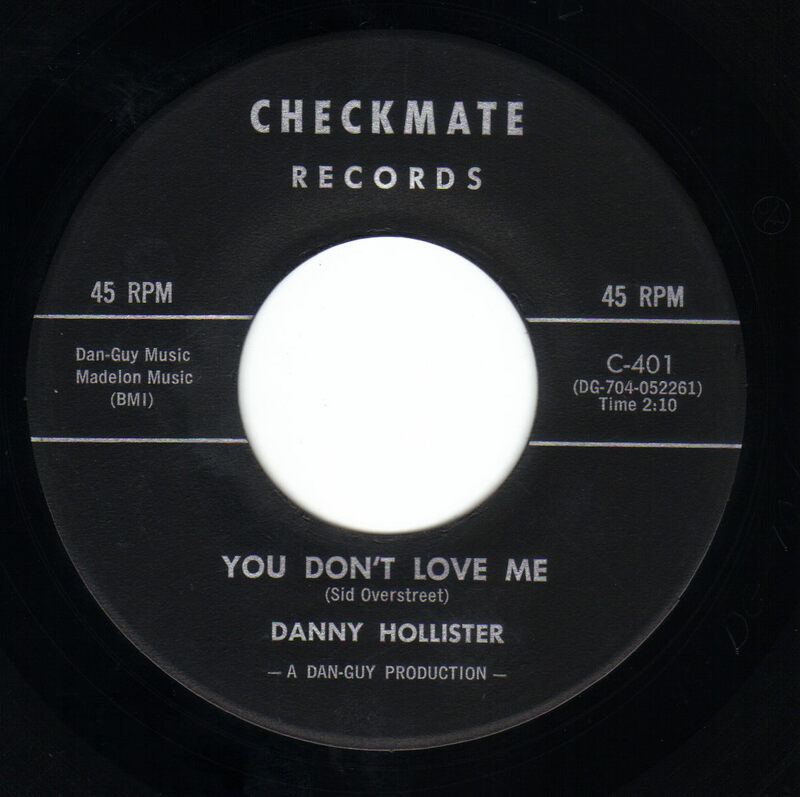 Chuck also booked us at United Western Recorders on Sunset Blvd. for a one day session during this time. 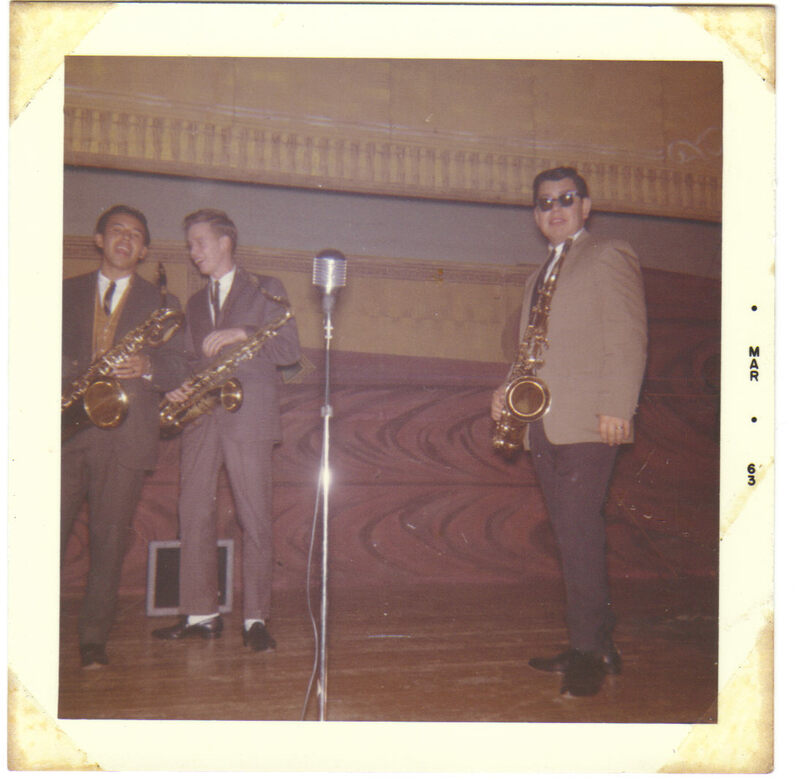 We did a show at the Pasadena Civic Auditorium which included The Four Preps, Johnny Burnette, Dorsey Burnette, Eddie Cochran and more. We did the Wink Martindale Teenage Dance Party show in Hollywood. At some point, Kim Fowley (Hollywood Argyles, Skip & Flip) talked to us about management but Chuck Daniels was already doing it. Oddly enough I ran into Kim Fowley 40 years later (2000) at my favorite family restaurant in Redlands, CA. 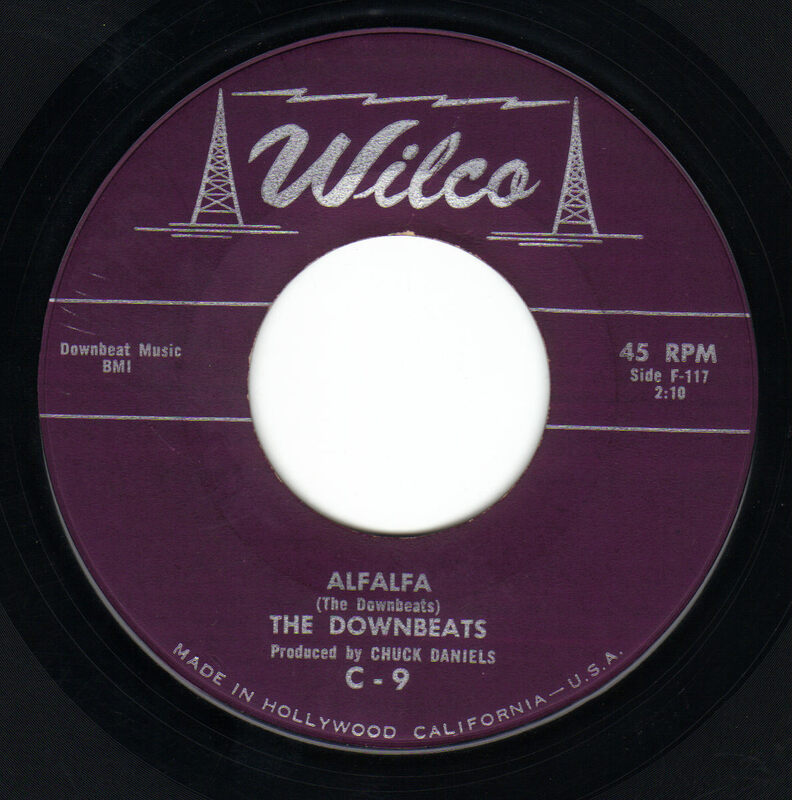 We talked about the early 1960's music scene in Hollywood and his life story since then. He remembered the band. Seems to me that we played with Skip & Flip, one of his acts, up in the San Jose area. Joe Serrano and I remained in Hollywood after the band went back home. Joe went to work for a liquor store at the corner of Melrose Ave. and Larchmont Blvd. until his death at the young age of 27, while I continued playing Fender bass in a 4 piece band consisting of myself, Sonny Knight "Confidential" on piano, Spider Webb on drums, Larry Bright "MoJo Workout" on guitar, fronting Timi Yuro "I'm Hurt" at her parent's Italian restaurant on the corner of Pico Blvd. and S. Genesee Ave. in Los Angeles, I worked days at Clyde-Wallich's Music City, corner of Sunset and Vine. His brother Glenn Wallich started Capitol Records. 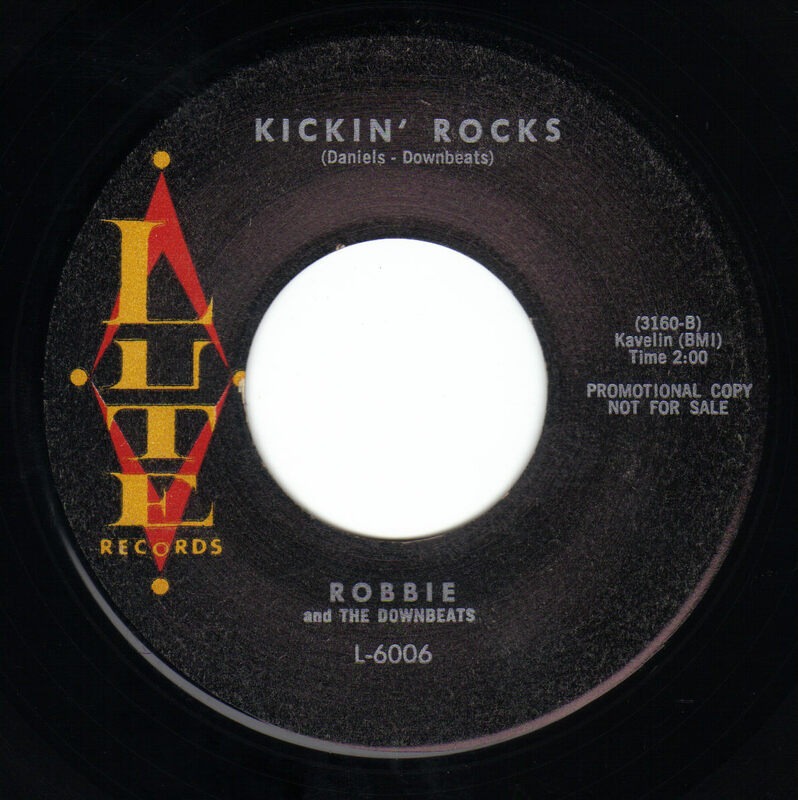 Russell ended up playing with The Rhythm Dukes, a San Francisco area band as well as with Pat La Rocca. I got married in 1965---gave up music---attended Art Center College of Design in Los Angeles graduating, with Distinction, in 1970. 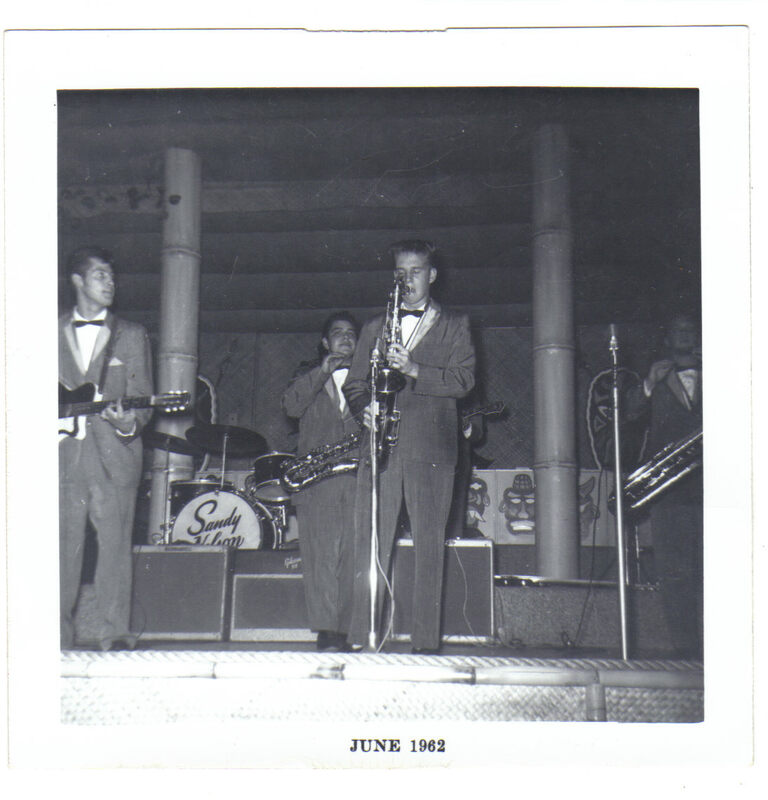 Special thanks to Johnny Amelio, Bill Lanning and Delbert Contival for sharing their pictures and memories! 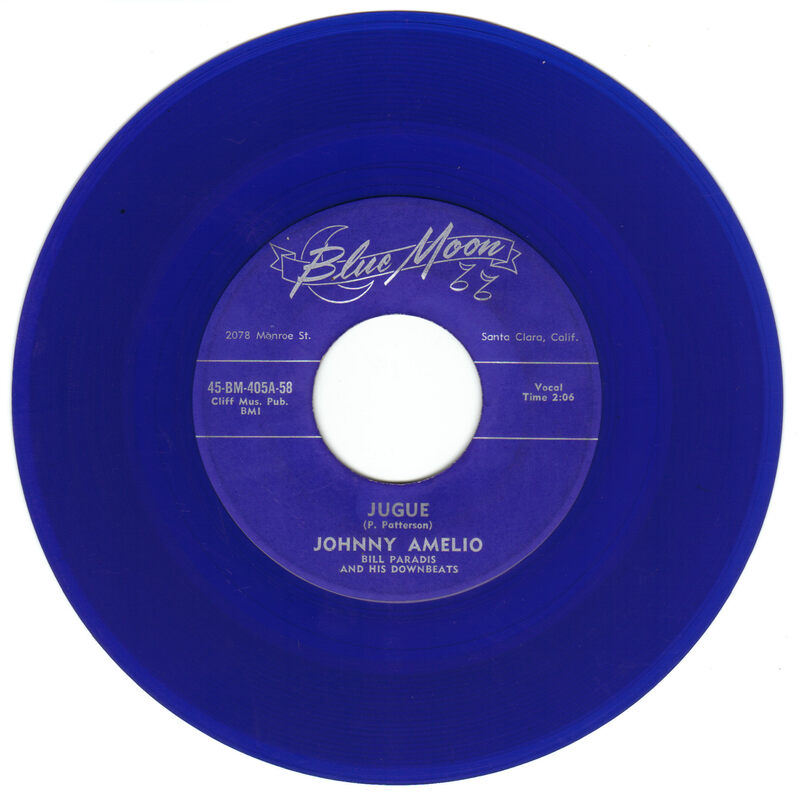 Original blue vinyl copy of "Jugue"
Original gold vinyl copy of "Jo Ann - Jo Ann"